I have lived in Spain for eleven years – we are now in the double digits. The only things I’ve stuck to for longer have been gymnastics (12 years) and driving a car (17 years). As September comes and goes each year, the nostalgia kicks in as I remember lugging two overstuffed suitcases from Chicago to Madrid to Granada to Triana. What a long, strange, tapa-filled journey it’s been. 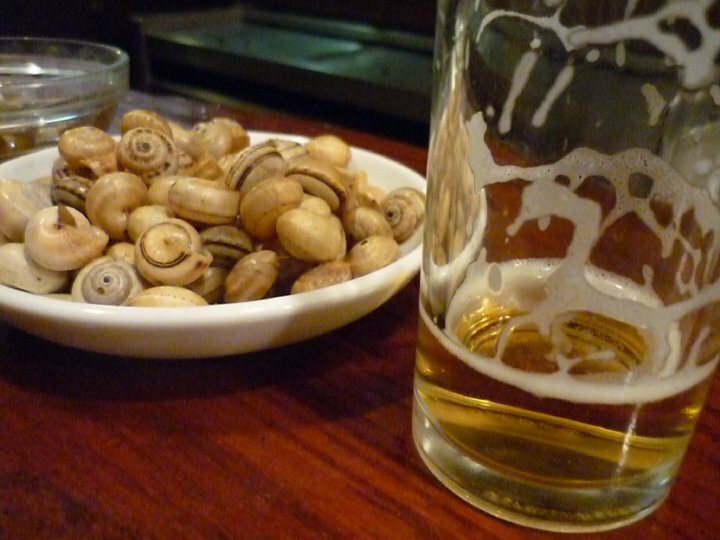 As I approached my ten year Spaniversary, I had planned to write a tongue-in-cheek look at some of the things that make me scratch my head about Spain, weaving in the acclamation process that took a good, darn year. But, parenthood and a busy work schedule meant that that post is still in drafts (I’ll get there by my 20th Spaniversary, promise). Despite slagging blog and social media activity, I somehow still have page views, followers of my ho-hum #momlife and emails from readers and people who find me organically through Google. Don’t let the out of office message fool you – I love reading them and I appreciate them. I always think, “I can should turn this question into a blog post.” But rather than eleven separate posts, I did a non-scientific study of what you guys emailed and Facebook messaged me about to celebrate 11 years of Spanish red tape and all that comes with it, and I’ve honed down my long-winded emails so that you’re not overwhelmed with word count or information. Have more questions? Throw ’em in the comments! How can I legally stay in Spain as an American? Apart from emails about my favorite places to eat in Seville, I get several emails each week about how to work in Spain and how to legally stay in Spain. Many of you are language assistants or veterans of study abroad in Spain. I get it. Spain got under my skin, too. When I was considering making Spain a long-term thing, I looked into just about everything. Guess what y’all: you have it way easier than I did in 2010. I knew about the loopholes for getting an Irish passport (my dad was not listed on the Foreign Birth Registry, so that was out). There was a difficult-to-attain freelancer visa that I would have had to hustle to get – and I was still on blogger.com. I could get married, but that seemed like an awkward conversation to a Spanish boyfriend who proudly proclaimed he’d never get married (about that…). I found out that I essentially had three options, apart from the whole ring thing: I could try to find a contract and let my card lapse to modify my status from irregular to a one-year work and residency permit, known as arraigo social; I could start working for a company under the table and rat them out under arraigo laboral, or I could continue on a student visa, obtained through a Master’s program I’d been admitted to, and start earning years towards residency as a civil partner. Modificación and cuenta propia were not buzzwords, nor were they paths to residency in Spain at that time. So, I set out to try and find a job contract. I spend hours crafting cover letters, hand writing addresses of schools and language academies and licking stamps. Every 10 or 12, I’d reward myself with Arrested Development. I waited for the job offers to roll in but… they did not. In Spain, working legally is a bit of a catch-22: you need a work permit to get a job, and you need a job to get a work permit. Very Spainful to spend a summer stressing out over staying legal, making money and not having to crawl back to America, tail between your legs. In all fairness, I was up against a lot: the arraigo social was a long-shot because teaching contracts tend to be only for nine-ten months. I’d also been out of the Schengen Zone for longer than the allotted time (120 days in three years) and had passport stamps to prove it. I couldn’t denunciar the Spanish government for legally employing me, either. Feeling overwhelmed and in desperate need of 20 minutes in an air-conditioned office, I headed to the U.S. Consulate in Seville (which, by the way, does not do residency or visa consultations for Americans in Spain), and the then-consular agent told me to renew my student visa como fuera. Thankfully, I’d applied to do a Master’s in Spanish and had an acceptance letter and enrollment certificate. I deferred my enrollment for financial hardship but it had bought me a bit of time to not let my residency card lapse. I’d discover later that you can apply for a TIE card renewal up to 90 days after its expiration, but I was in survival mode (and I seriously doubt that Exteriores even had a website at that time). If my house ever catches fire, my mountains of extrajería paperwork means that it will burn fast. An overnight bus trip later, I stood in line at the Foreigner’s Office in Madrid, only to be told I’d need an appointment. I plead my case, blaming it on the university taking its sweet time to send my documents and the lack of available appointments, and they told me to come back that following Friday. Back to Seville on the six hour overnight bus I went, returning three days later and having registered my padrón certificate with my brother-in-law. When it was my turn at the eleventh hour, literally at 4pm the day before my residency card expired, I lied through my teeth and said I was going to begin a master’s program. I remember her making some snide remark about sevillanos. As soon as I had the stamp on my EX-00, I long-distance dialed my mom in the US and told her she could transfer all the money, used as proof of financial solvency for my renewal, back out of my bank account. As all of this was happening, I attended an American Women’s Club tapas welcome party for new members, as I was considering joining anyway. The woman I sat next to casually mentioned something called pareja de hecho. Doing this would make me the de facto executor of the Novio’s will, and would make him my de-facto owner and keeper. I wasn’t cool with that explanation from the funcionario, but I rolled with it because it gave me residency permission, and I could work legally for 20 hours on my student visa. And so began the wild goose paperwork chase around Andalucía (including a brief pit stop in Fuengirola, Málaga). You know the rest – a change in the stable partner laws while our paperwork was processing allowed me to work legally and build years towards permanent residency. But apart from that, it changed my mindset from taking Spain and my life here on a year-by-year basis, and it was a clear sign from the Novio that we were in this for more than just the language goof ups and someone to have a cheeky midday beer with. So what is pareja de hecho? Pareja de hecho meant no long distance relationship for the Novio and me. The closest equivalent to pareja de hecho in the US would be a civil union; in fact, people seeking fiancé visas to the United States usually have undergone the PdH process. Simply put, you have nearly all of the benefits of being married, but without the financial implications (in Spain, anyhow) or the ring. Pareja de hecho allows the non-EU partner to work and reside legally in Spain, have access to state healthcare and move about the EU without a passport. 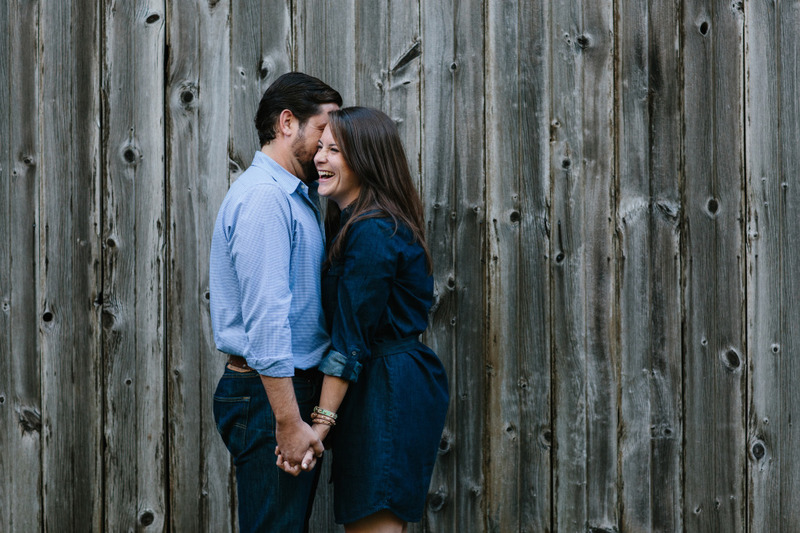 It’s assumed that your partner will not be your “keeper” but proving financial solvency is an element when you later apply for your residency card, and your finances will stay separate unless you choose otherwise. Pareja de hecho is also called pareja estable or uniones de hecho. I want to do pareja de hecho. How can I apply for pareja de hecho / pareja estable? Want to legalize your love? 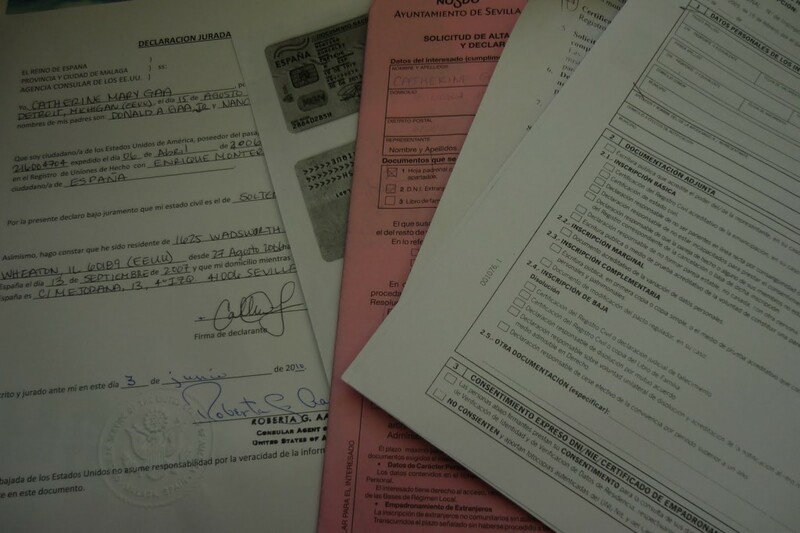 Pareja de hecho is one way to stay in Spain legally as a non-EU citizen. But ojo: paperwork and eligibility for pareja de hecho differs from one autonomous community to another. Some, like Andalucía or Navarra, will allow the non-EU partner to be on a student visa or even apply with just a passport, whereas Castilla y León will not. Galicia wins the living-in-sin game, as interested parties must have lived together on a registered padrón municipal for two years or more. Both sets of islands will only let Spanish citizens, and not other Europeans, apply. To qualify, both members of the party generally have to be 18 or older, not related and able to enter into a legal partnership on your own free will. From there, requirements vary by the community – and sometimes even the province – in which you’re applying. Your local government will have resources about documentation and application process. And don’t forget that once you have your certificate in hand, you’ll still have to apply for your shiny new residency card (tarjeta comunitaria)! In hindsight, pareja de hecho was probably the easiest bureaucratic matter I’ve had to deal with in Spain – I’m serious. And if you don’t believe me, I co-wrote an eBook about it (use LEGALLOVE5 for a 5€ discount in COMO’s online shop!)! All’s fair in love and bureaucracy, right? How did you get into teaching abroad? 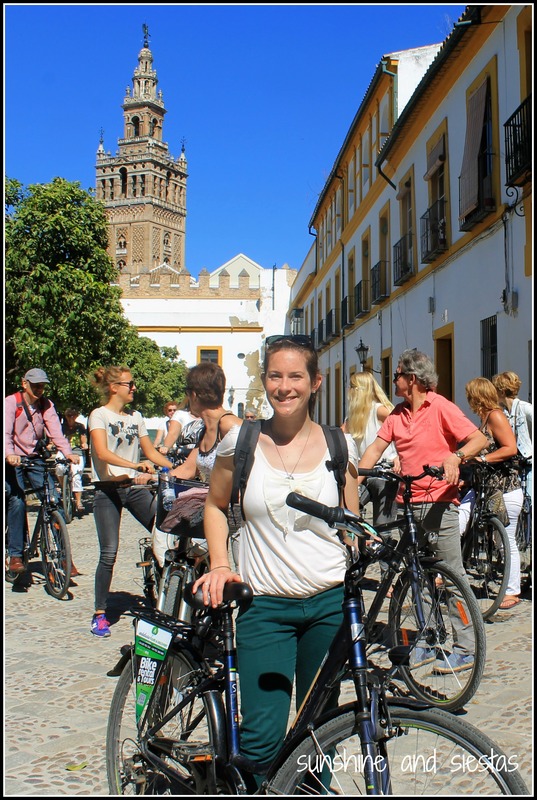 Do I need to have a TEFL or CELTA to teach in Spain? I proudly marched off the plane in July 2005 after a summer abroad and announced I’d be moving back to Europe after graduation. 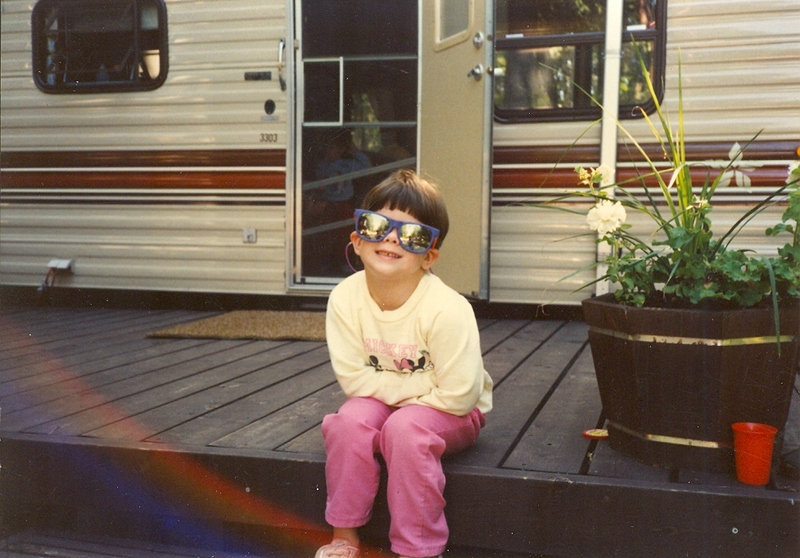 My parents even encouraged me to do a year or two abroad. Senior year, after the obligatory flippy cup game and textbook buying, I visited the Office of Study Abroad on my campus to ask how to move abroad after graduation; one of the peer mentors told me about the Spanish government’s North American Language and Culture Assistant program, which would allow me to teach 12 hours a week in a public school in exchange for 631,06€ a month, private healthcare and a student visa. I was offered a position in Andalucía two weeks before graduation. The auxiliar program was a positive experience for me, and I found that I was actually pretty good at teaching phrasal verbs and producing gap fills. 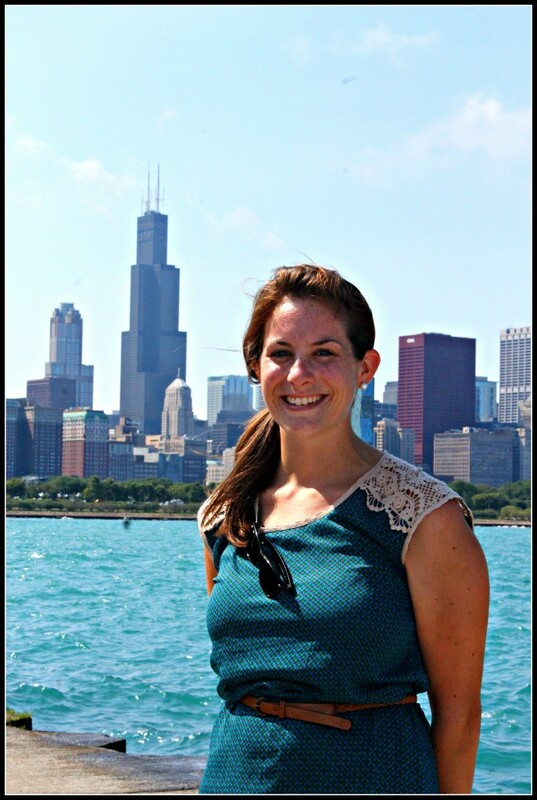 My coordinator gave me free reign in the classroom, so at the end of my three years, I felt ready to make teaching my career, even going as far as applying for a Master’s in Secondary and Bilingual Education. Remember all of those hand-written envelopes? I got a few bites, but the work papers was always the snag. When my pareja de hecho lawyer called to tell me I could get a Spanish social security number, I marched right over to the social security office and later that week, caught that damn overnight bus to pick up my residency card. I had a standing job offer and started work as Seño Miss Cat the following week. When I left the private school – I was overworked and underpaid, and I didn’t have enough time for blogging and freelancing – I jumped into the English academy world. Having heard horror stories about payment and contract issues, I was wary but needed a way to work while completing a master’s program, so I figured the part-time schedule and academic year to academic year commitment was doable. I was offered the Director of Studies position midway through the year and stayed on until our move to Madrid. When I get asked whether or not a TEFL or CELTA is necessary, I always give the same advice: if you want to work for a reputable academy, you should have a certificate. Not only does this make you more attractive to an employer, but it gives you footing if it’s your first time in front of a classroom. 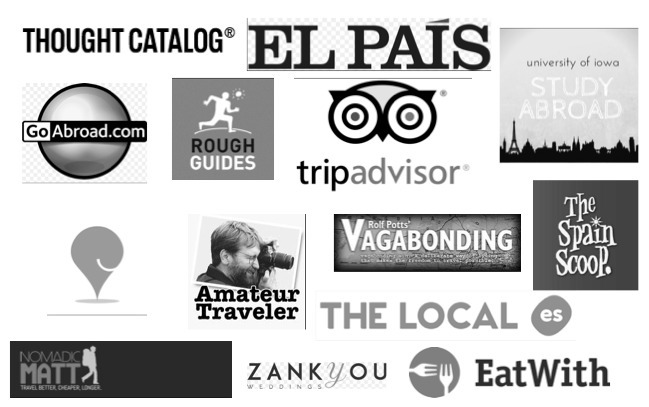 I agree that experience is the best teacher but Spain is the land of titulítis. Is a CELTA or TEFL preferred to teach in Spain? While TEFL certificates are king in Asia and South America, many language schools in Spain will require a CELTA (Certificate of English Language Teaching to Adults). There’s good reason for this: the CELTA prepares you to teach the Cambridge Language Exams, which is a language level test that most academies offer. I don’t really miss teaching as I thought I would, but mostly because I really like what I’m doing now. I do, however, miss my two-month vacation! What do you do for a living? How did you get into university admissions? After nine years in the classroom, a Facebook post changed my career rumbo. An American university in Spain was looking for an admissions counselor. 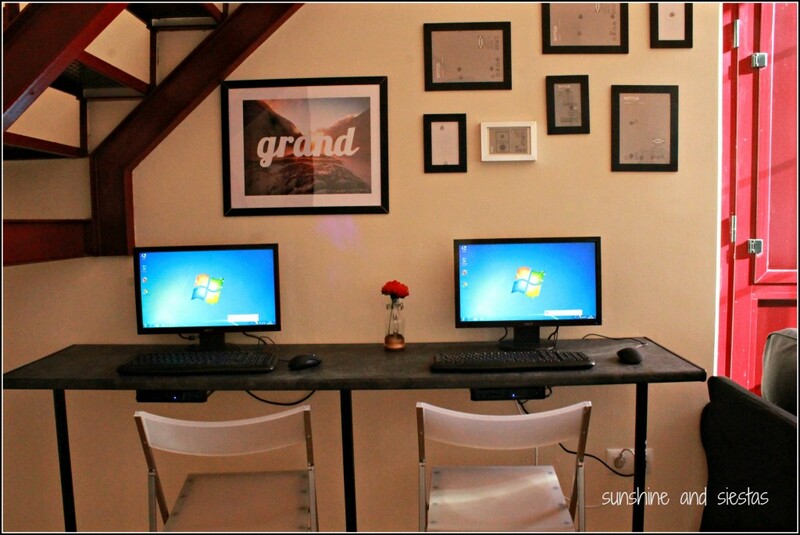 I read the job description: people skills, basic computer skills, work permission in Spain. I could handle that. I wrote a fun cover letter, added a picture of myself on the school’s U.S. campus and sent off an email to HR and the Director of Admissions – less than a month later, I had an offer. A clue to the institution I work for – from one oddball mascot to the next! Working for an American-style company (it’s an S.A., which is why I got paid maternity leave and am in the Spanish social security system) is a serious dream. My role includes representing the university in recruitment events in my geographic zone, reading applications, counseling students on visas, and overseeing recruitment and marketing for our graduate programs. It’s a fun challenge, and I’m still in education – and I am using my journalism chops at long last. Like many elements of my life in Spain, patience and perhaps some karma helped tremendously. Want to get into international student admissions? You should be personable, able to work independently and keep up with trends in enrollment, higher education and whatever social media a teenager would be into. You should also be willing to answer very, very mundane questions. Working for a small, niche school has its challenges, so every enrolled student feels like a win – especially when you met that student at a college fair, set up a campus visit, helped them choose classes, and given them a hug at orientation. As schools begin to look abroad (Fall 2019’s cohort was born the same year as 9-11, eh, meaning less kids to go around), many universities are amping up recruitment efforts abroad. 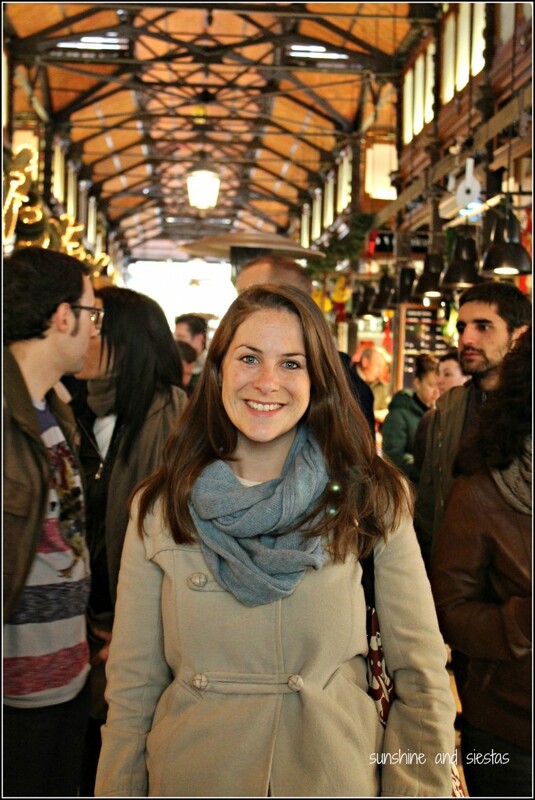 Even in Spain, think beyond study abroad! Sometimes when I hit publish, I am excited to see how my readers react. Most times, I’m like, “cool, cross that off my todoist app” because of the amount of work that goes into a post. 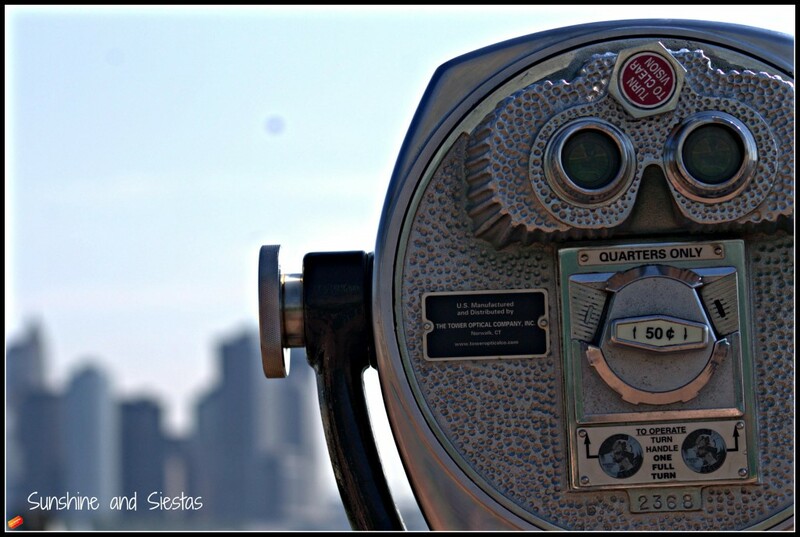 Editing photos, choosing the right words and kinda caring about SEO. I can mull for days over how to frame a post – often choosing to wait a year so that it’s timely. Asking me to choose my favorite post depends on what I have a craving for reading. Perhaps one of the posts I find myself going back and reading the most is The Guiri Complex (Or, why I Can’t Have it All). Pounded out on a keyboard shortly after an American food store opened in the same storefront where I’d bought a flamenco dress, I was wrestling with more than just an overpriced box of Cheerios and whether or not I wanted it: it was a moment where I was torn between the life I had built in Sevilla, and the life I thought I could have in the U.S. Curious: do you guys have any posts you particularly like? I’d love to hear them! What is the Novio’s real name? Ah, youth. This was eight years ago. I’m not exactly a public figure, but I realize that people know who I am, what I do and where I like to have a caña. But my husband is an extremely private person and someone who is not into social media, internet cookies (or regular cookies, actually) or sharing his personal life. I can respect that, and for this reason he shall remain nameless. And, no, I did not move here for the Novio. But he’s part of the reason I stayed. Will you ever return to the U.S.? Great question. While I don’t want to close the door to returning to live in the land of cooking with butter, I don’t see it happening. Where would the Novio get his hueso salao for puchero? How could I ever go back to not having health insurance? It’s not impossible, but I think it’s unlikely. Still my favorite place in the world. 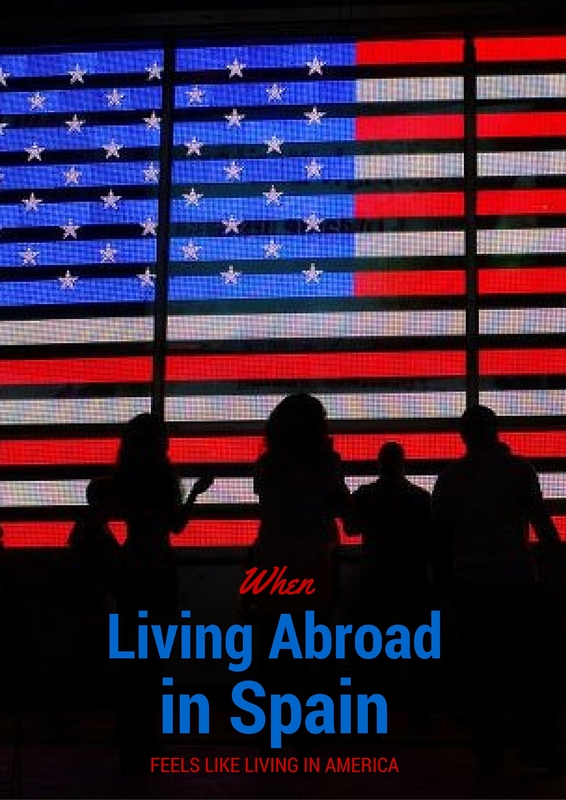 Truthfully, moving to the US freaks me out – the staggering cost of living on meager savings, starting a job search from abroad, letting go of my Spanish lifestyle. The dream would be an American salary in Spain, but everyone makes sacrifices, right? Cruzcampo is not one of those sacrifices. 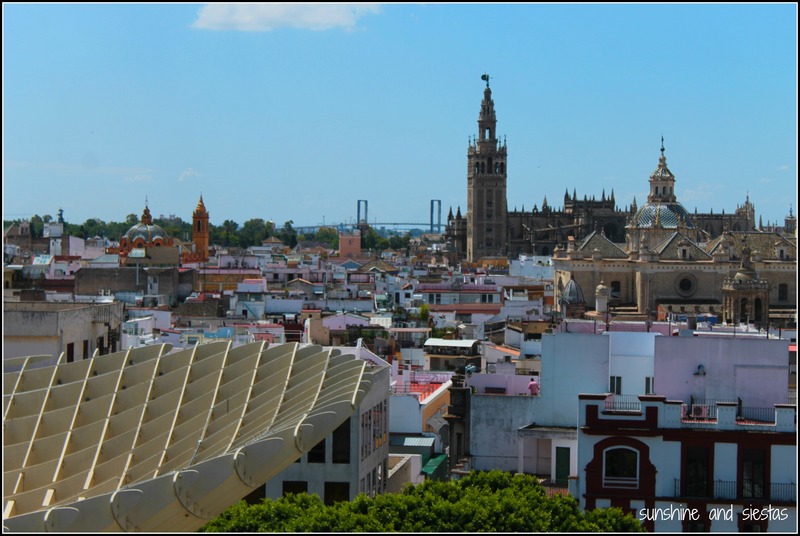 If you didn’t live in Seville, where would you live? Where should I live? I always said that if I didn’t live in Seville, I’d live in Madrid. And now that the Spanish capital is “home,” I’d choose Seville again. It truly is la ciudad de mi arma, even with its faults (and that reminds me – I really love my break up post). When I announced via Facebook that I’d be leaving Seville for Madrid, one commenter warned me of how soulless Madrid felt to her. My friend Lindsay, who has lived in both cities put it best (and I love her for it): Cat can find her people and her home anywhere. 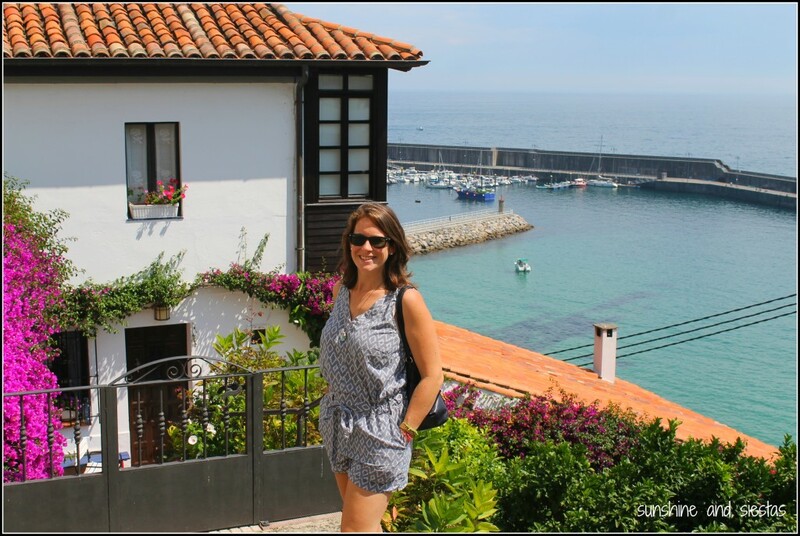 But if I must choose – I really love Asturias and could see myself up north with a bouganvilla-covered house in a little fishing village near where the Novio summered. Send rebujito if this ever happens. What are your tips for making friends abroad? Saying that the friends I made in Spain are half of my Spanish world would be an understatement. There’s an affinity that we have, as Americans, that extends beyond our shared language and culture. 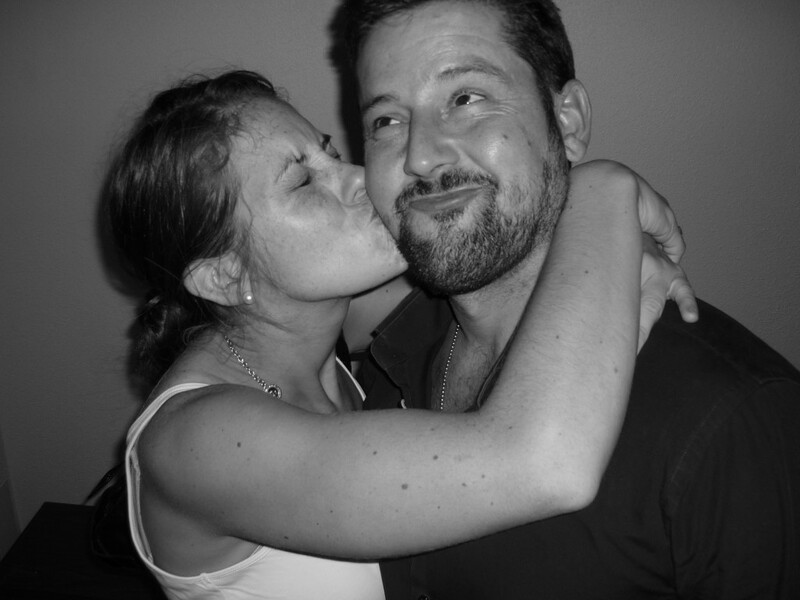 My group and I have left home for Spain – sometimes for the adventure, sometimes for a novio. 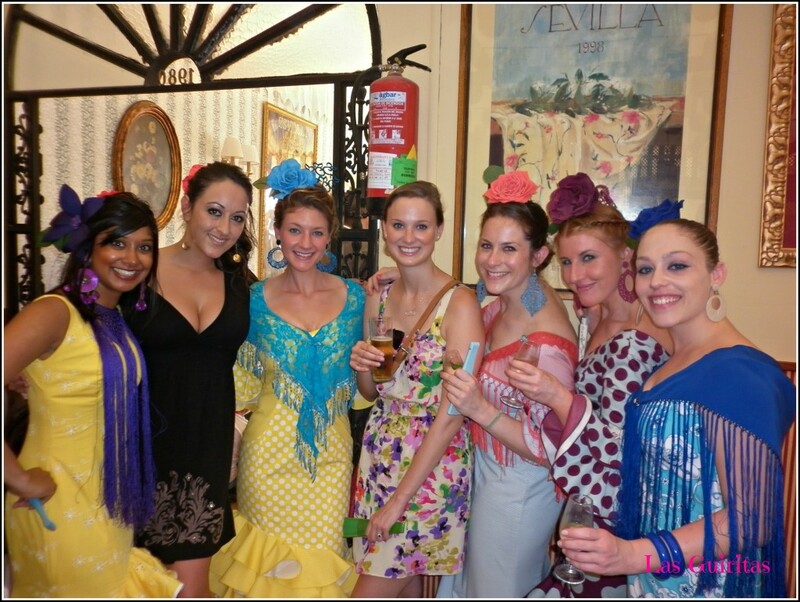 Most of them had studied abroad in Sevilla (everyone in the photo but me, in fact!) and most of us arrived in 2007. Had I not met the women I call my Spain Dream Team, there’s a fairly large probability that I wouldn’t have stuck around. 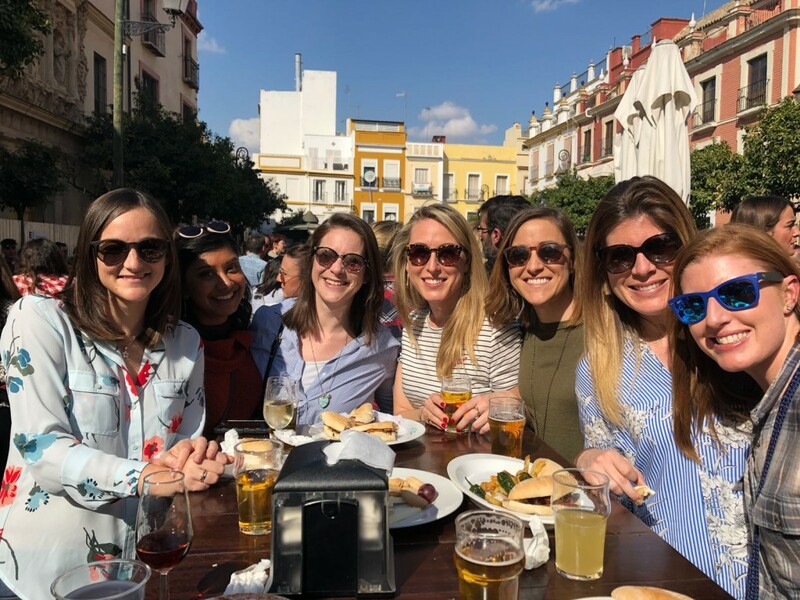 The Novio often traveled for work abroad for long stretches of time, so I wizened up and found a group of women about my age who planned on Spain long-term. Little by little, my small circle of sevillamericanas has grown (but not without a few hard bajas). Remember how your parents told you to leave your dorm room door open during your first week of college? I did that, too, but figuratively. I never turned down an invitation, but in an age where social media was as creeperific, I spent a lot of time at home with a box of Magnum bars. I solemnly swear that we are up to no good. When you’re looking to meet friends abroad, consider what you’re already into doing – there are meet ups for everything from hiking with kids to knitting. If there’s a local expat group, go to an outing or two, or at least tap into their resources. Of those pictured above, most of us met be being introduced by someone else – ask for introductions and don’t think it’s weird (we’re literally all in the same situation, or have been!). 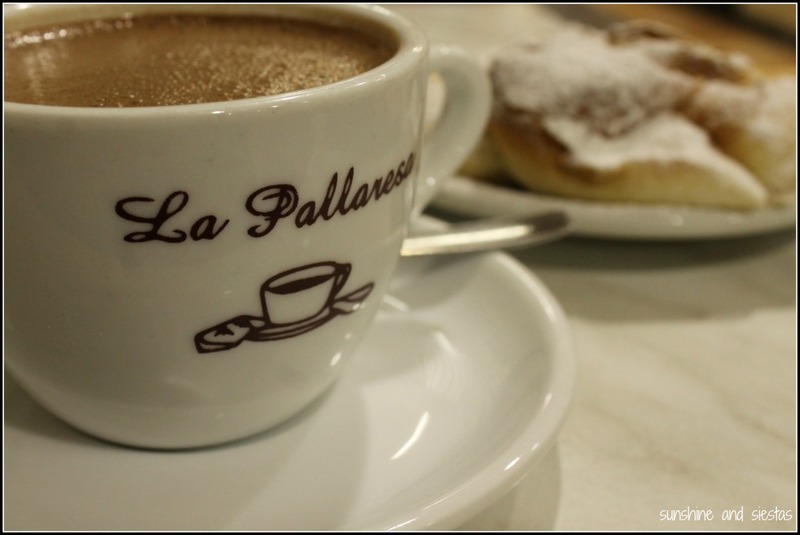 Don’t be afraid to invite people for a coffee – I used to drag my German roommate to a cuchitre bar on our street to practice Spanish, and a cook at one of the tapas bars near my house and I kept in touch (and he opened a new bar recently!). Advice on when friends move? In the picture of us dressed in trajes de gitana – one of my favorites – only three of us are still in Spain, but we’ve seen one another at least once in the last two years. A part of me dies when one of my friends announces that she’s moving away from Spain and I have ZERO advice other than whatsapp. Do you have any advice for someone moving to Spain? 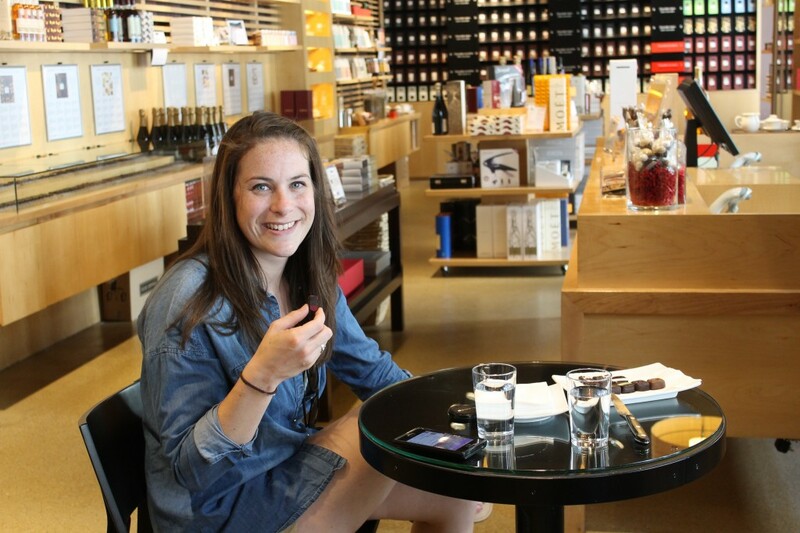 After my first year in Spain, I returned to my summer job at an outlet mall in suburbia. Tasked with folding rows of chinos and steaming dress shirts at Banana Republic, I struck up a conversation with an American who had just returned from 17 years in Galicia. 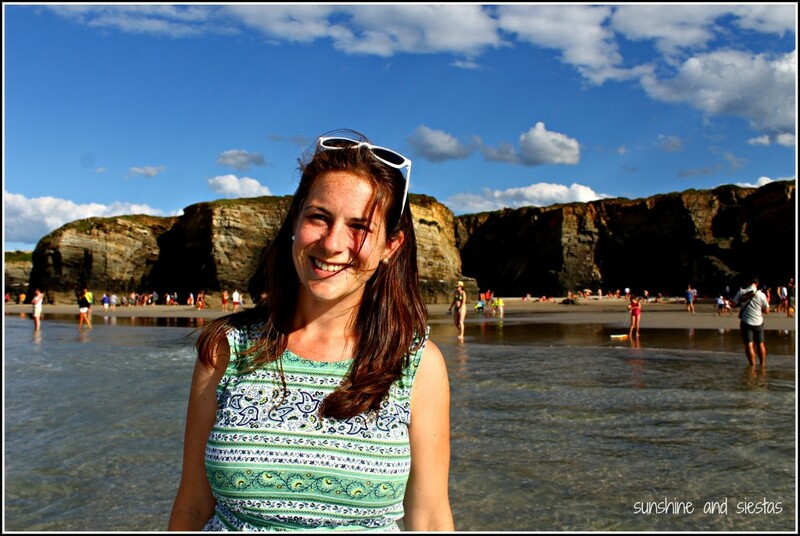 As I found her sizes and zipped up dresses, she reminded me, “Spain will change you. 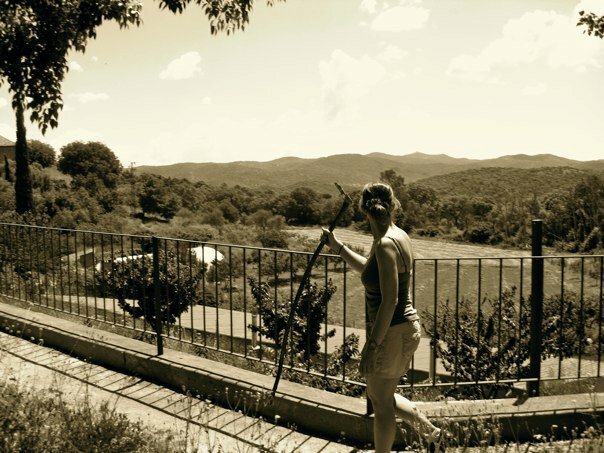 No vuelvas just yet.” Seventeen years seemed like an awful long time to be away from my family, my language and my culture, but I assured her I’d stay another year. I’ve never forgotten that milestone. 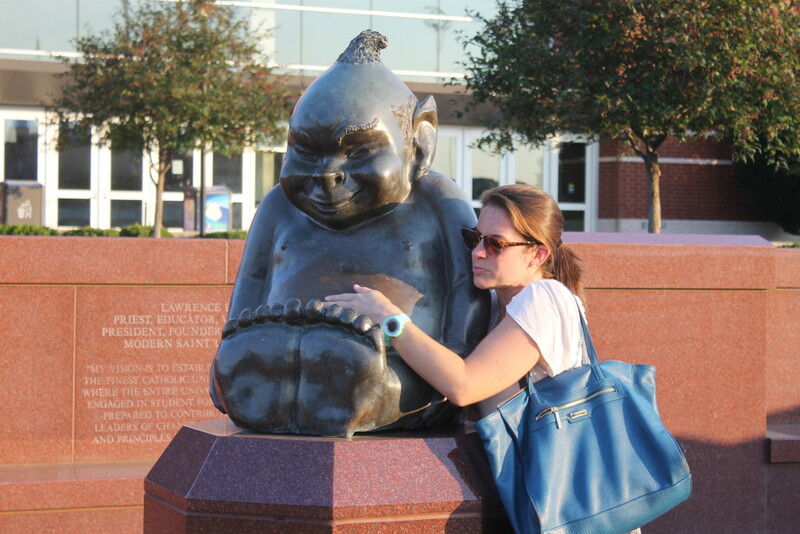 By the time I’ve been here 17 years, I will have probably had another kid, maybe moved again and who knows what else. If someone had told me that I’d fall for a Spaniard when abroad, I would have believed them. Had someone told me I’d live my adult life here? I wouldn’t. I’m often asked what I’d do differently. Truthfully, not too much. Maybe I would have tried harder on this blog, or tried harder to make more professional connections earlier. Maybe I would have saved more money. I probably would have paid a little more money for an apartment with air-con because, damn, Sevilla is hot. But in the grand scheme of things, I’m pleased with how things have gone – even those hours, sitting in the dark eating Magnum bars when I had no friends. My advice? Remember that it’s not your home country, so nothing will be the same. Spanish customer service is pitiful, traffic is just as bad as in the US but with crappy radio. Life is life in Spain, but as they say: Spain is different. Not a good different of bad different, necessarily. Just different – and fun, challenging, enriching and delicious. Here’s to 11 more! Any other burning questions for a long-term expat in Spain? This post contains links to my residency blog, COMO Consulting Spain, including links to our online shop. Have a click on any of the links to learn more about how to move to and work in Spain. We were recently hacked, so every click makes a world of difference (and we put a humorous spin on Spanish red tape!). Her last question: “If I want to have a beer, do I just look for a beerería?” She wasn’t too far off, doing some linguistic gymnastics as I reminded her of the word for beer and finally forming the word for bar: ser-vay-suh-ree-ya. Cervecería. One of the biggest learning curves for people moving to Spain is knowing where to shop and what you can find there. That there’s a more convenient place to buy stamps than the post office, or that you’re better off picking up pens and pencils at a copy shop. There’s a specific store for undergarments (pick up a spare zipper or some ribbon while you’re there, too), another sells only fish and sea creatures, and a cafetería is a good place to stop if you want more than just coffee. The –erías are rife when it comes to wining and dining in Spain, and nearly every class of food is followed by the suffix. This is a general term for anything made with two slabs of a viena, though Spanish sandwiches and subs tend to be severely lacking in ingredients. You can usually get food to go with a drink or some chips. This place has just about everything – you can have a coffee or a cold one, a sandwich or a sweet. Cafeterías are a happy mix between bar and coffee shop, and they’re a good go to if your tripa rumbles between lunch and dinner. Have your cake and eat it, too, which is perfectly acceptable here. Take a number and wait until you’re called to get any sort of beef or pork cut. Your butcher might also have less common meats, like horse or rabbit, and expect to find tripe, cow tongue and pig feet. For good measure, of course. In Madrid, these places are usually called casquerías. Many carnicerías will also package meat for freezing, or can clean the cut for you. Perhaps my most frequent stop outside of the grocery store, the cervecería (or beerería, as Lisa says) serves beer, wine and soft drinks, and usually a limited menu. Think stark white walls, stainless steel countertop and plenty of abuelitos. What sets these establishments apart from another bar is that the bares in Spain tend to have larger menu options. Just smell that hot oil frying, and you’ll know you’re in the right place. 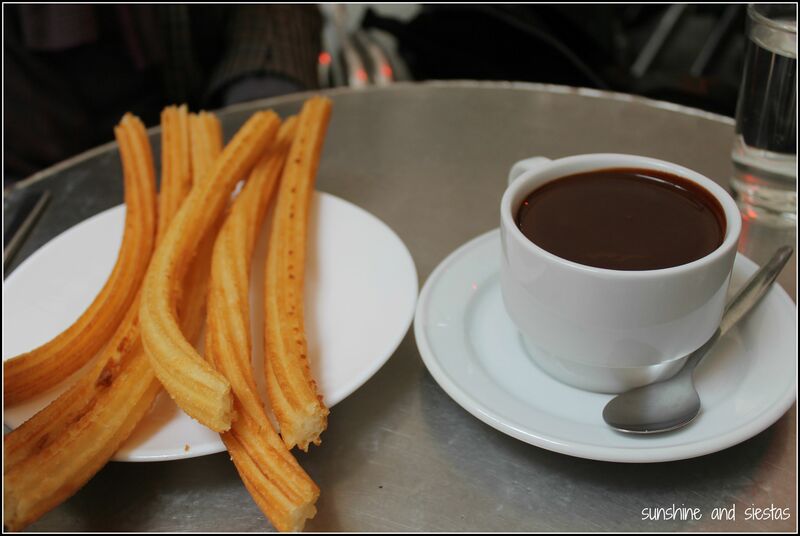 Many bars also sell churros, particularly for snack time and weekend breakfasts, or even fried potato chips. Noticing a trend with fried food? Freidurías will throw anything breaded – namely fish and croquettes – into hot oil and serve it up in a paper cone for you. 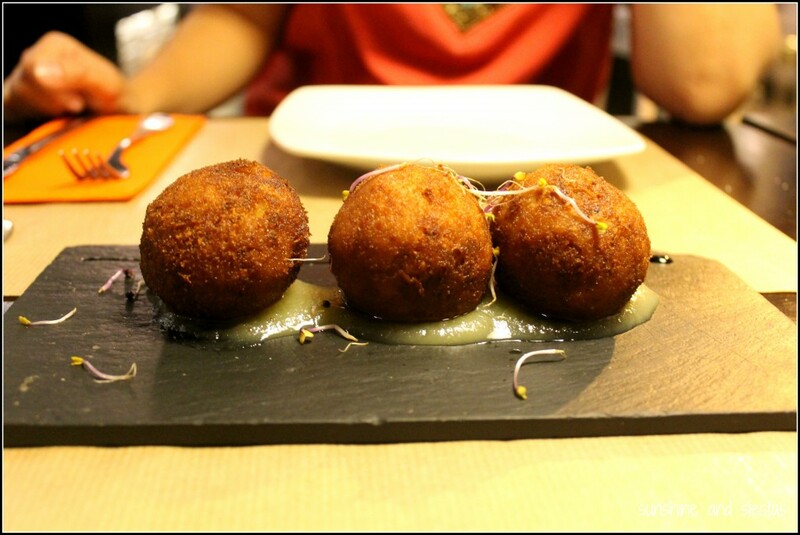 As one of Seville’s food staples, pecaito frito is fast food that doesn’t make you feel as guilty. Plus, it’s practically requisite to eat fried fish on the first night of Feria and Fridays during Lent. Note that freidurias are closed on Monday, as no fresh fish comes into the markets. Frutería: Green grocer’s / fruit stand. You’ll find all of your fruits and vegetables here, along with nuts, soup mixes and a pumpkin for carving at Halloween. 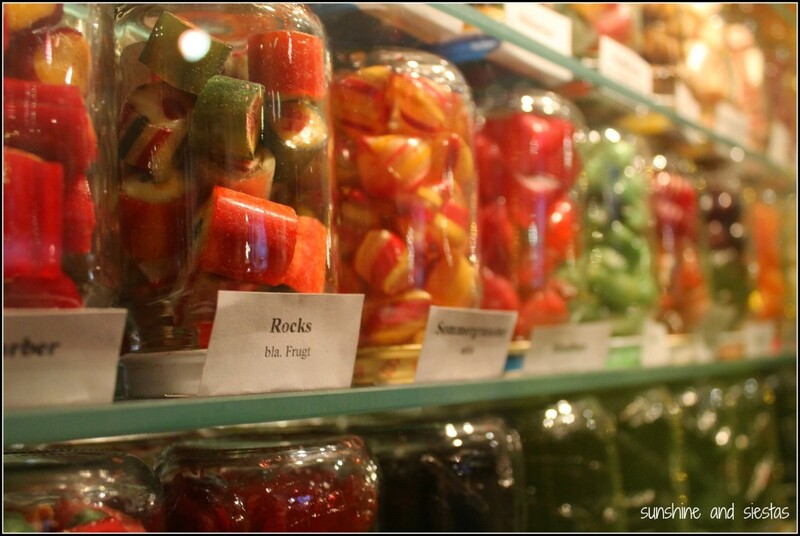 Here you can look but don’t touch – the greengrocer will usually handle the goods for you. Fruits and vegetables are seasonal in Spain, so don’t look for strawberries in August or watermelons in February. More exotic fruits like mangos and avocadoes can usually be found at market stalls. 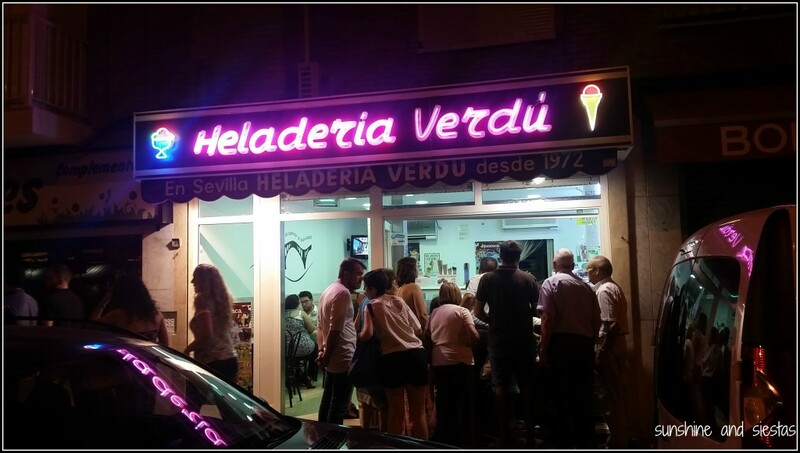 If you’ve ever been to Spain in the summer, you’ve probably frequented an heladería. 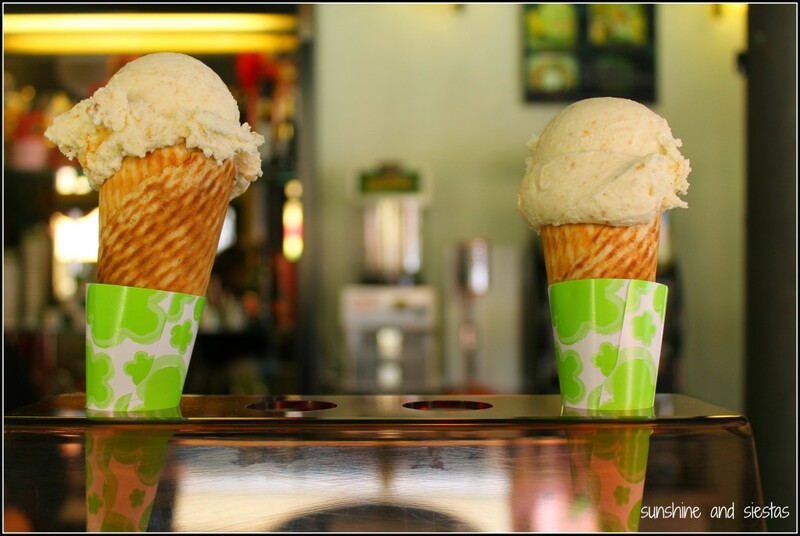 Many will serve more than cones and sundaes, with offerings ranging from pastries to mixed drinks. Because a G&T tastes better with dulce de leche ice cream. A meal in Spain wouldn’t be a meal without copious amounts of bread, and panaderías seem as ubiquitous as ATMs. My go-to local bakeries also serve as mini-marts and offer pastries, snacks, sandwiches and even cold beer. For the catch of the day, look no further. 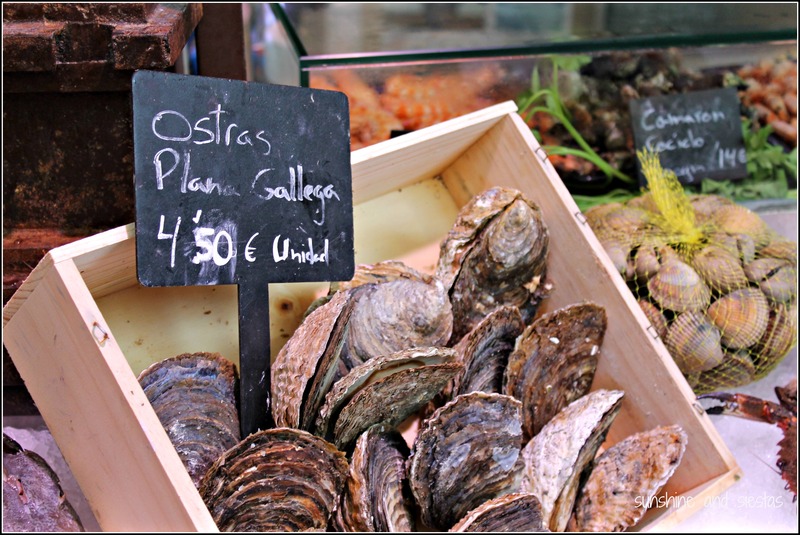 You can buy fish and shellfish and have them cleaned or chopped in any way you like. Like the freiduría, the pescadería is always closed on Mondays, meaning the market is a ghost town at the beginning of the week, and offerings – as well as prices – will change daily. If your butcher doesn’t sell fowl, a pollería will, along with eggs, turkey and duck – I get my Thanksgiving turkey from José in the mercado and he’ll even pull out those last few stubborn feathers and its innards. Alternately, the chicken shop may be a roasted chicken distributor, too, AKA your Sunday night cooking solved. If you see a line out the door around January 5th, chances are you’re staring down a repostería, or a fancy pastry shop. While I’m not keen on Spanish sweets, all of the abuelitas congregate here to buy cakes and sweets, though it’s different from a cafetería in that it usually doesn’t have room to snarf the pastel with a coffee or anisette. Copistería / Papelería: Copy shop / paper goods store. I remember a crisis of not having enough pens to write down my observations of Seville, post-study abroad, in a travel journal. It was my first time in Seville and I’d run out of ink, so I went to the sure-fire place to find them: the Corte Inglés. A simple pack of three Bics put me back 3,50€, or the price of a beer and tapa around the corner. Copisterías are commonplace, and they do more than print, scan and fax: you can find any school supply you can think of, buy political and geographical maps of Spain and the EU and go insane over the sheer amount of colors and sizes of plastic wallets the peddle. Nope? Just me? Imagine it like an all-ages Kinkos. Papelerías are much the same, just with no fancy copy machines. What they lack in inkjet they make up for in beautiful journals, fancy wrapping paper and a rainbow of highlighter colors. My best friend back home is part of a hardware store dynasty, and I’d often frequent with my handyman father. Spanish ferreterías are a bit backwards because there are lots of small items, many will ask you to place an order and they will find it for you. This is the place to get keys cut, buy tools and even find that old-lady carrito you’ve been eyeing. Some ferreterías are specialized in cookware, others in making plaques and signs, and even others sell kitchen goods. Leroy Merlin is my new drug. It may be easier to pick up a few spare carnations from the peddlers on the street or the venta ambulante, but florists still exist. Just don’t expect to buy satchels of seeds here – floristerías are strictly for flower arrangements and decorative bits and bobs. 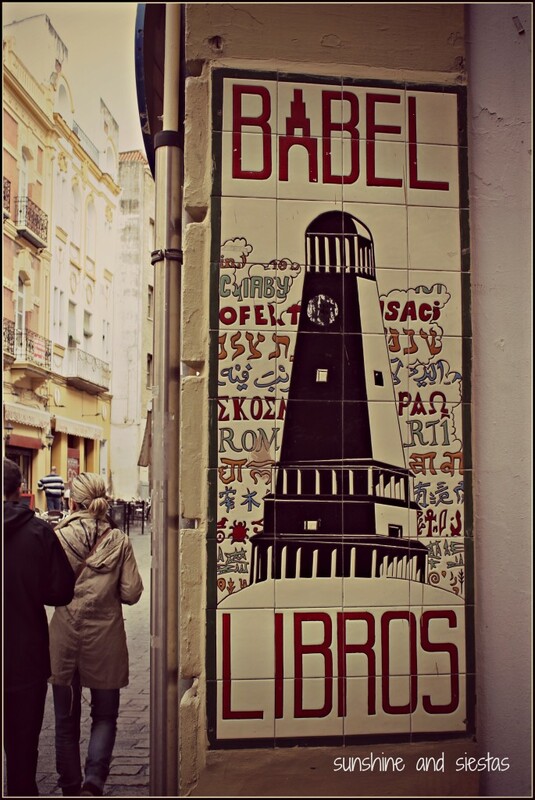 Don’t fall victim to this false friend – a librería is a place to buy novels and books…and the random book bag, bookmark or greeting card. You’ll find them clustered near schools and they generally have all of the required reading textbooks for private schools on hand. 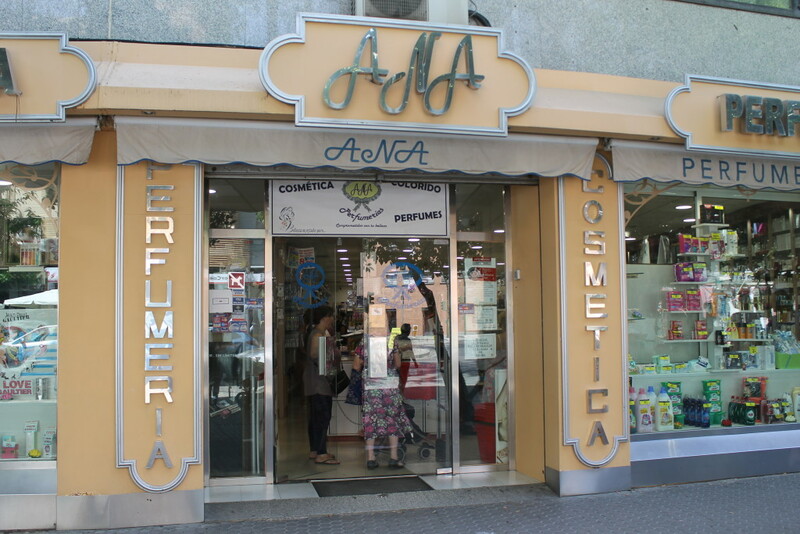 Much like their American counterparts, salons in Spain are a haven for gossip and hairspray. I can’t say enough about Top Image in Seville, where I entrust my locks and secrets to Loli – yes, I plan my visits to Seville around her openings. If you’re looking for a beauty parlor that has a larger array of services, try a spa o gabinete de belleza. A beauty cabinet. Men head to a barbería (as in the Barber of Seville, of course!) or peluquería de hombres. The first time my Spanish roommate sent me out to the grocery store alone, she told me to pick up all of the cleaning products, detergent and toilet paper at the perfumería around the corner from our apartment. Once I fought my way past the fragrances and makeup, all of the cleaning products on the market were stuffed into shelves, from toilet bowl cleaner to air fresheners. But I accidentally bought myself conditioner instead of shampoo. Those were rough, greasy times. I find that supermarket prices are more appealing, and there are only so many little abuelas I can fend off on any given morning. Maybe it’s just because there’s one on my block, but this is the sort of nursery where you can buy seed satchels and…snacks? Most of the rest of society go to a vivero. And, for the record, I’m still a little wary of wandering into the semillería. 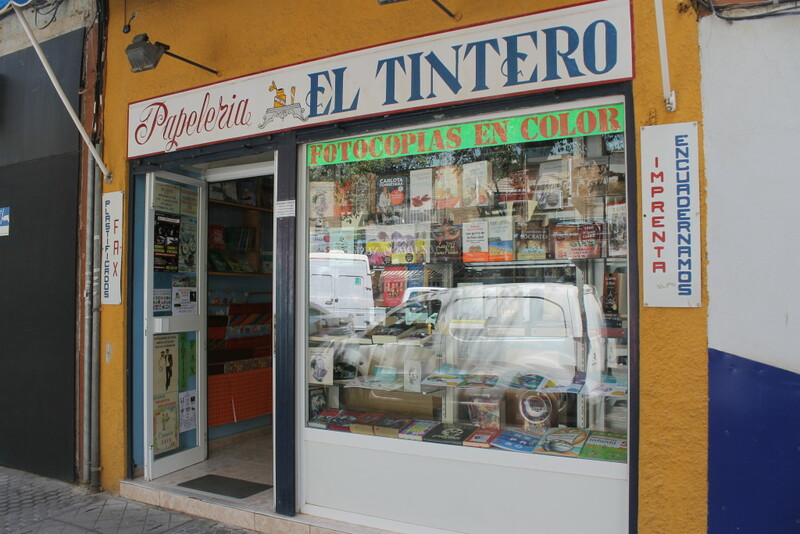 Not to be confused with lavandería, or laundromat, tintorerías are far more common in Spain than a coin-operated bank of washers and dryers. Check those tags from Zara – there’s a lot more delicate material and non-washables on sale, and Spanish washing machines are notorious for tearing apart clothing! Most of my disposable income went to shoe shopping when I first moved to Spain. 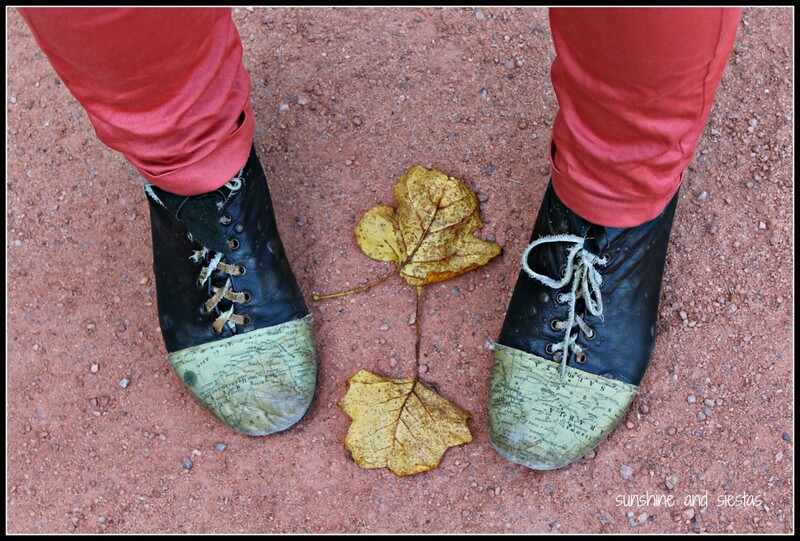 I was doing a great deal of walking around town and quickly wore out the soles on all of the ballerina flats I bought. Be aware that European shoes have different number sizes than in the US, which leads to a whole lot of confusion and squished toes on your first few trials. 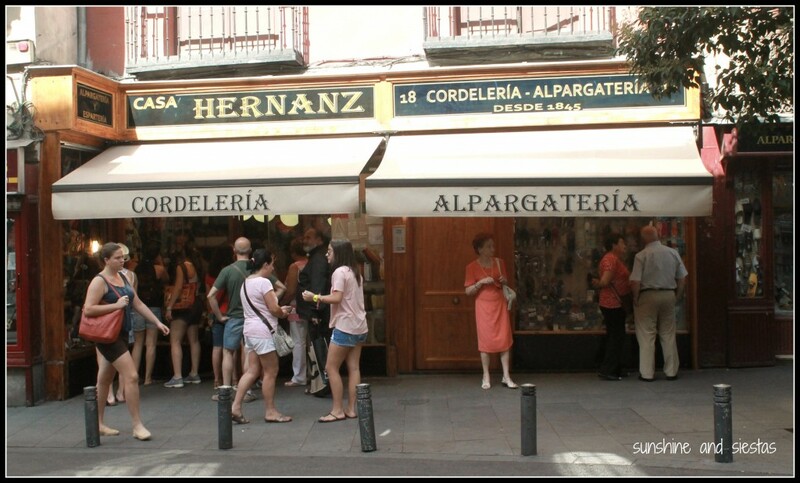 Ok, so I lied – not all shops and eateries end with -ería. Several other important shops and stops exist, though many with not-so-clear perameters as to what they sell. 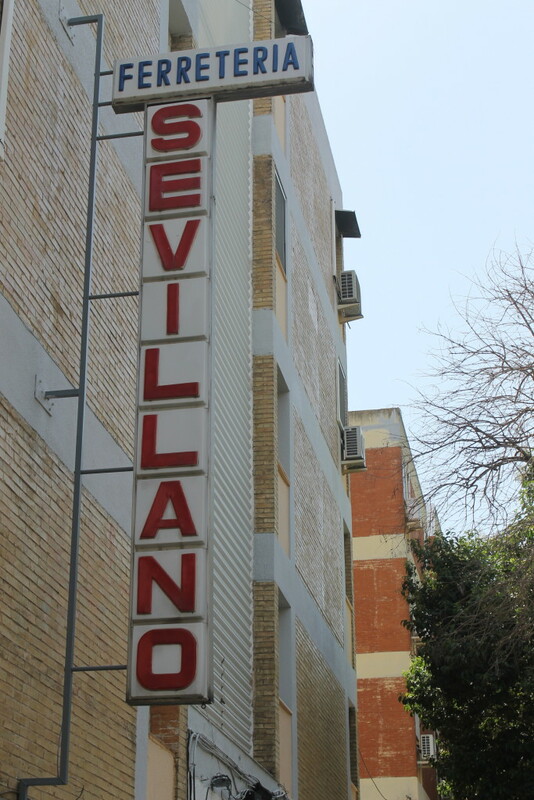 Denoted by a green cross, farmacias sell strictly prescription and nonprescription drugs. Well, until you add reading glasses, walkers, diapers and pacifiers. Clients tend to be loyal to their local pharmacy, so products may vary according to location. Do keep in mind that should a pharmacy not have what you need, you can have it ordered for next day service, and there are 24-hour pharmacies in every large urban center. Tobacos / Estanco: Tobacco shop. My roommate once asked me if I wouldn’t mind picking up an application form for a university scholarship while she was sick. I marched over to the university, stood in line at the purser’s window and ask for the solicitud, only to be told it could be procured at the tobacco stand across the street. 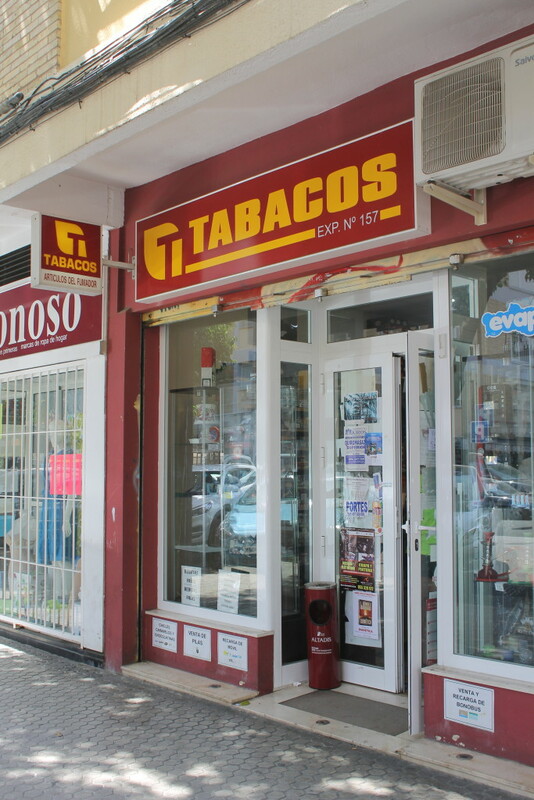 Emblazoned in crimson and gold with a large T announcing them, tobacco shops – usually called estancos – sell packs and cartons of cigarettes, pipes, loose-leaf tobacco, lighters and sometimes even shishas (hashtag Spain is different). 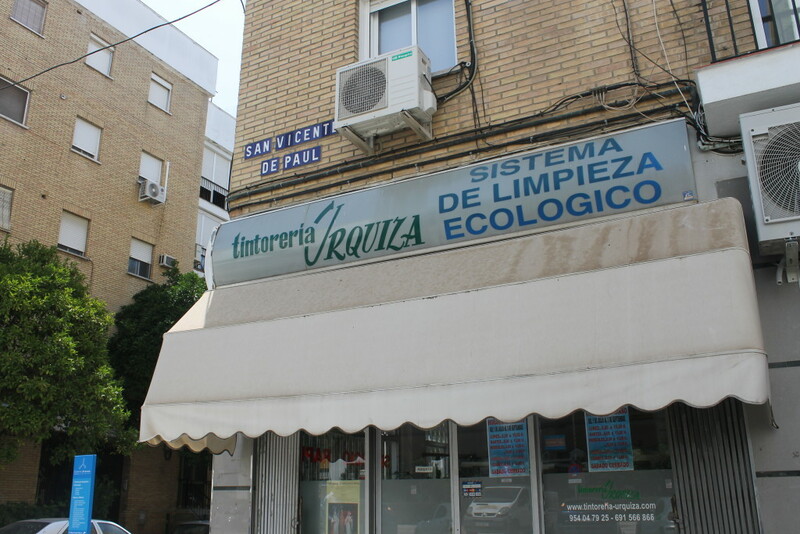 But it’s also a shop I frequent to buy stamps and envelopes without the long line at the Oficina de Correos, and they also have copies of rental contracts, declaraciones jurídicas and other forms needed for everyday Spanish bureaucracy. Oficina de Correos: Post Office. Every address in Spain is assigned to a post office, and Correos is the national mail service, owned and operate by the Estado. For whatever reason, your assigned office is never the closest one, and no matter when you go, there’s always a line worse than waiting to see the belén on Christmas Eve. Mail service is only the tip of the iceberg here: you can also register to vote, pay traffic fines and utility bills or send money by wire. Just take a number and wedge yourself between the other 100 people there any given morning. Though the older generation still prefers buying at their market and small shops (this abuelita included), supermarkets are one-stop shopping. Imagine the shock and awe when you walk into an American superamarket for the first time in 10 months after having somehow subsided on whatever was packed into a two-aisle ‘supermercado’ in your neighborhood. I was so spoiled living next to an Alcampo for four years, but have come to relish buying from the market a few blocks away. There’s really no way to describe these sorts of shops. Sometimes they have food, sometimes they don’t. Many sell cheap home furnishings, clothes or household items. Cold beer is usually a feature in them all, and even the lady at my alimentación has taken to calling me gorda for my addiction to the green Doritos. These shops are usually open on Sundays, too, so if you realize the fridge is empty and the súpers closed, there’s always the alimentación. One of very few words in Spanish that begin with K, these pop-up booths sell newspapers and magazines. Check near touristic sites in major cities if you’re looking for international press or in a Corte Inglés. Olé tú if you find one of the kiosks that sells candy and cans of pop instead of reading materials. Have small change handy. Tienda de ropa / regalos / mascotas / deportes: Shop. Any shop specialized in a certain kind of merchandise can be characterized as a tienda de something. 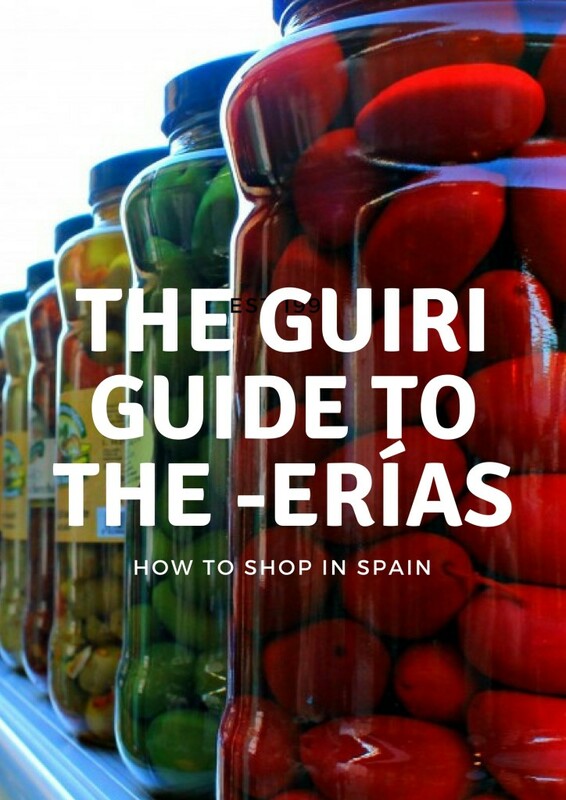 If you’re confused about any of the -erías above, tienda can subsitute whatever you’re looking for. 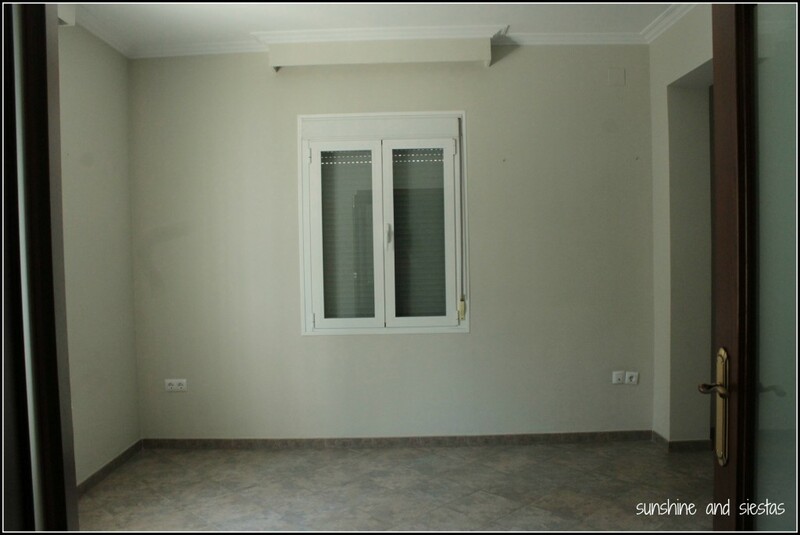 Agencia de viajes / inmobiliaria / seguros: Agency. Storefronts that offer a service are typically categorized as an agencia, or agency. Just as banks and bars are easy to trip over, so too are vacation, real estate and insurance agencies. When I studied abroad in 2005, Blackberries weren’t on the market nor did Skype exist. We’d check our newly created Facebook accounts on shared computers and call our parents with – shock! gasp! – real phones in little plywood booths. Though they’re not as commonplace as they were a decade ago, locutorios have fax and printer capabilities if you’re in a bind. If you’re outside of a major city, don’t count on anything being open on a Sunday and midday closures are also typical. Most small shops and businesses will be open from about 9am until 2pm and reopen from 5pm to 8pm. Fridays and Saturday hours are shortened. An exception is anything food-related: an alimentación is open at seemingly all hours, and panaderías will open Sunday mornings. And if all else fails, bars are usually open daily at normal eating times. Do note that many bars and restaurants close midday, so you’re better off having a pastry to tide you over. Not all -erías are created the same: just as you would blush from saying you were pregnant rather than embarrassed, a few false friends exist. If you need money, don’t ask for monería, as this is an adjective for something cute. Go to a banco or cajero automático instead. And a factoría is not always a brick-and-mortar factory but can be used in a metaphorical sense. 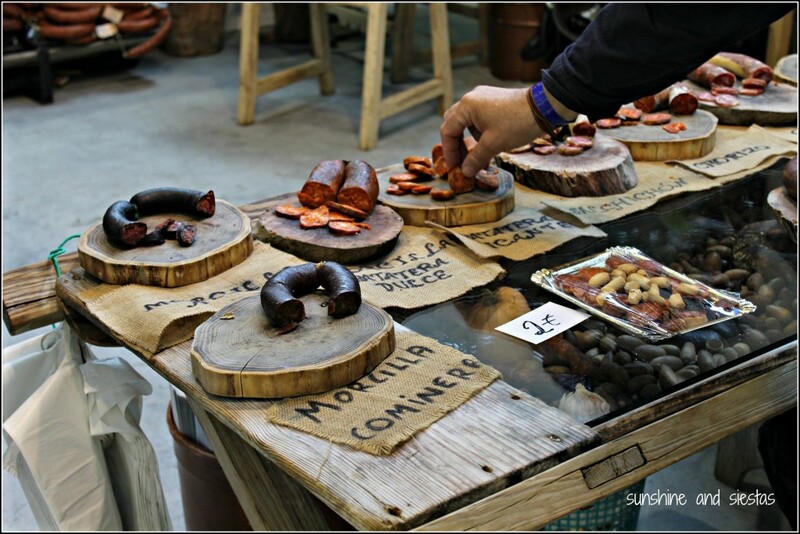 Looking for some of my favorites around Seville? 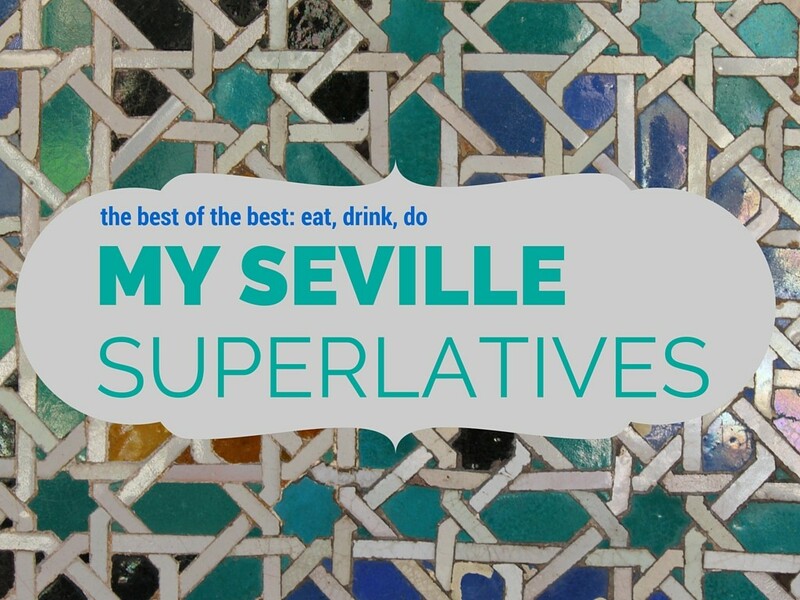 Check out my Seville Superlatives list or let me know about your tried and true! And now that you’re a better shopper than the abuelitas in Triana, why not assemble a Cesta de Navidad for your family? I could have easily been in a neighborhood pub back home in Chicago. Armed with two guiri friends and a stomach that hadn’t eaten all day, I ordered a cheeseburger meal, piled on the ketchup and sat down on a couch, directly under drapes of spider webs. It was Halloween, and one my friends mentioned that – gasp! – another American friend of ours had had trick-or-treaters the night before in her pueblo. De verdad? Since when does the oh-so-racio Seville feel just like America? 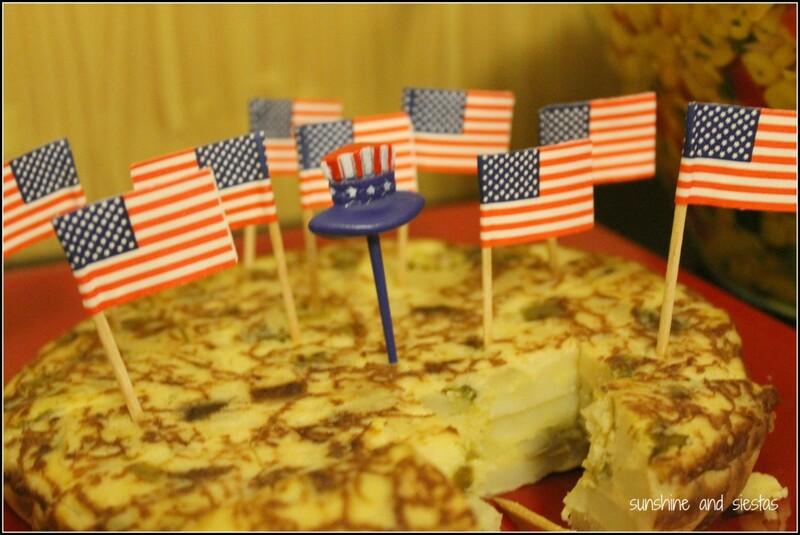 Slowly, Americana has been permeating into a city as Spanish as the tortilla. At first, I embraced the introduction of peanut butter onto supermarket shelves (and willingly forked over 7€ for it) and made special trips to Madrid for international cuisine. Eight years on, I’m feeling like I’m in a parallel universe sometimes as craft beer, Netflix and my favorite holiday are becoming mainstream, albeit jabbered on about in Spanish. I’ve long been the guiri who drags her heels when it comes to embracing my culture while living in another. I famously chastised my friends for shopping at the American food store and have yet to set foot in Costco. I do not regularly catch baseball or American football games in bars, nor could I tell you the best place to watch one. Yes, I cook Thanksgiving for my in-laws with American products and dress up for Halloween, but those moments were always reserved for special parties with my compatriots. What I love about living in Spain really boils down to the fact that I love living in Spain. Cue the hate comments: I didn’t really sign up for an American life when I moved to Seville. And in all fairness, I’m letting it happen. The line between life abroad and life as I knew it before 22 is blurrier than ever. I conduct a large part of my day in English, have English-speaking friends and watch TV in English. I just picked up a Spanish book for the first time in three years. I consume news in English via my smartphone and had to recently ask the Novio the name of the new mayor in town. I knew I needed to make a change when the Novio suggested we get Netflix as a wedding present to ourselves. Wait, you mean I can watch a show on a big screen with no need to let the show buffer for ten minutes? And in my native language? The fun of the TDT system, which allowed shows to be aired in their original language instead of dubbing. Ni de coña – I will binge watch my American television shows on my laptop. Wouldn’t that 8€ a month be better spent on something else? While Spain is definitely not America when it comes to lines at the bank, reliable service or a way around 902 toll numbers, I find my adult life becoming more on par with that which my friends are living in the US. I got more than a fair dosage of Americanism this year, spending more than four months of fifteen in the US. 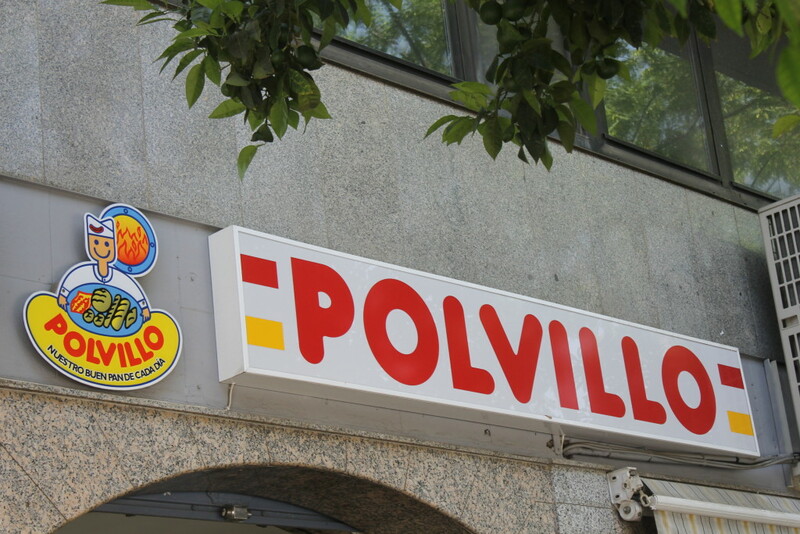 Going home is a treat – Target, Portillo’s and endless hours of snuggling with our family dog – but it’s lost a lot of its sheen now that Seville has Americanized itself, be it for tourists or for sevillanos. But at what price? Gone are the decades-old ultramarinos that once peddled canned goods – they’ve made way for trendy bars and clothing chains. 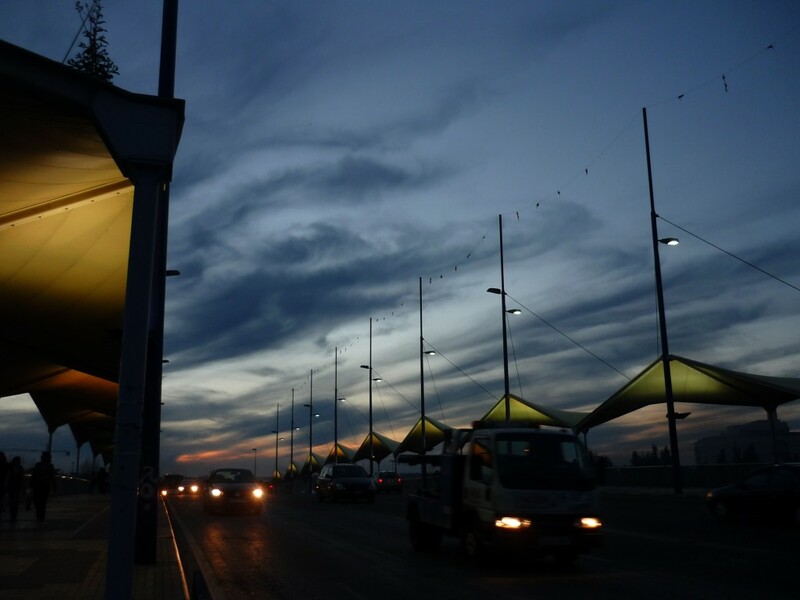 While I admit that the Setas – a harsh contrast from the turn-of-the-century buildings that ring Plaza de la Encarnación – have grown on me, they caused a lot of backlash and an entire neighborhood to address itself. Do I really need a fancy coffee bar to do work at, or a gym with the latest in training classes? As my world becomes more globalized, I find myself seeking the Spain I fell in love with when I studied abroad in Valladolid and the Seville that existed in 2007. We’re talking pre-Crisis, pre-smartphones and pre-instagram filters, and one where a Frapuccino every now and then helped me combat my homesickness. The Spain that was challenging, new and often frustrating. 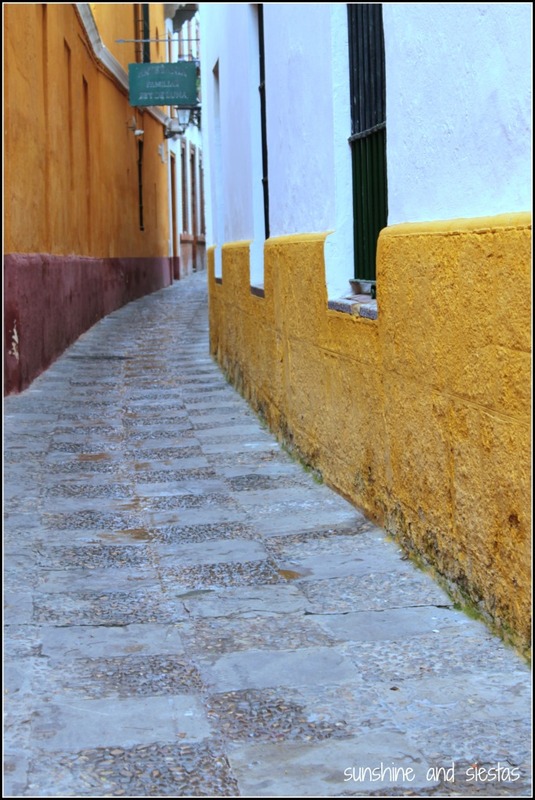 The Spain in which I relished long siestas, late nights and a voracious desire to learn new slang and new rincones of a new place. But… how do I get back there? The Sevilla I discovered at age 22 is barely recognizable. Do I love it? Do I deal with it? 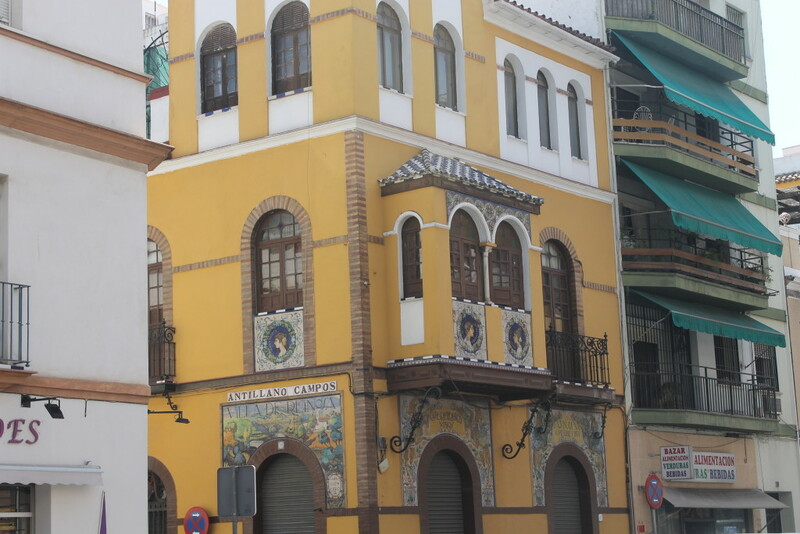 I mostly stick around Triana, which stills feels as barrio and as authentic as it did when I took up residence on Calle Numancia in 2007. This sort of rant seems to be a November thing, when rain has me cooped up outside instead of indulging in day drinking and mentally preparing myself to de-feather and de-gut a turkey. Maybe I’m in a slump. Maybe I’m comfortable. Maybe I’m lazy. Or maybe it’s just the fact that Spain doesn’t present the same day-to-day victories as it once did. One thing I know for certain is that I’m looking forward to jumping back into the Spanish manera de ser once the Novio arrives back home this week. 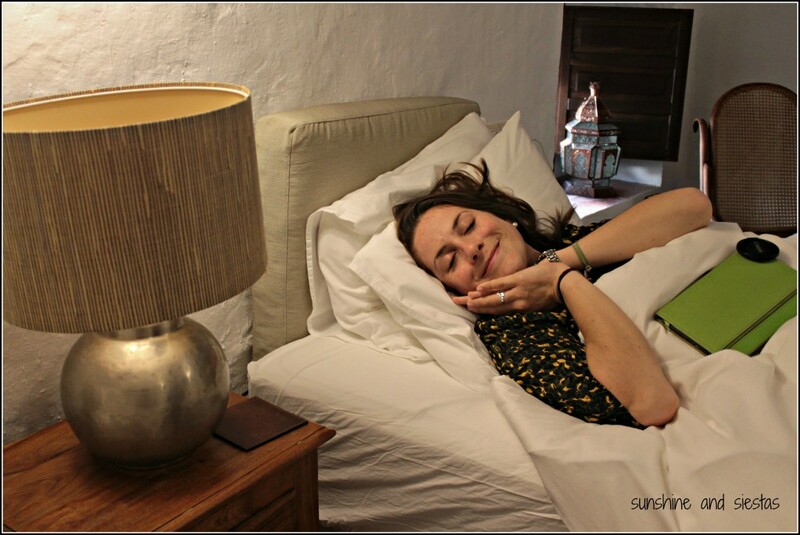 I can’t wait to head to San Nicolás, sans computer, and search for castañas, to sleep without an alarm and to remember why and how Spain became mi cosa. Do you ever feel like you’re no longer living abroad? Any pointers to get me back on track? 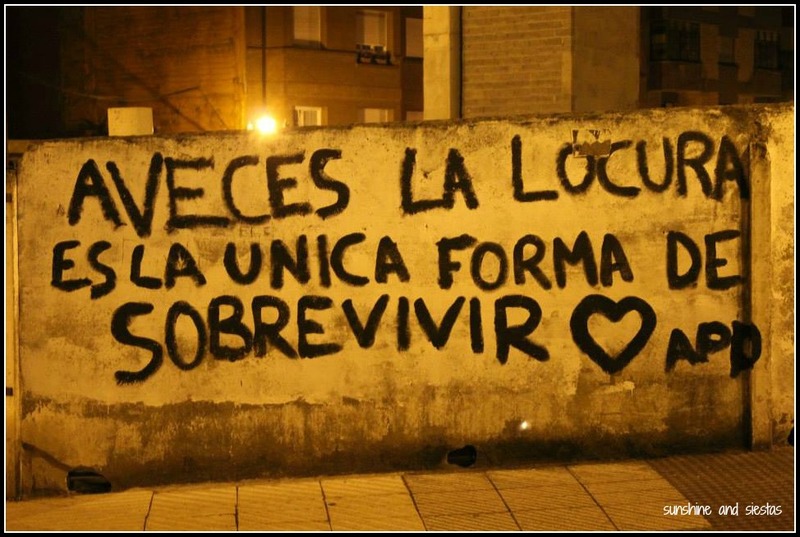 I’ve lived (in Triana and Cerro. a World Cup. the Tomatina). I’ve loved (teaching. long nights. tostadas. the Novio). And I’ve learned (how to fake your way to anyhing by playing the guiri card, mostly). 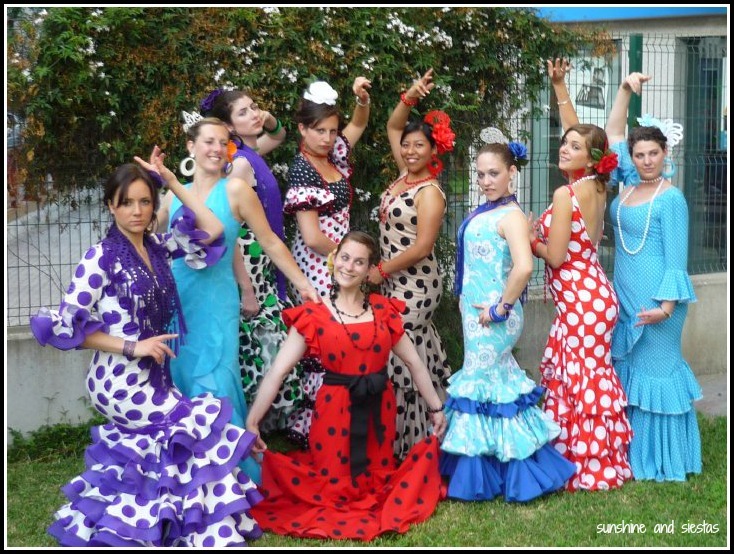 And after eight years as a sevillamericana – September 13th is my eighth Spaniversary! – I think I can call myself a Seville expert. In a city as rancio as this one, two years as a guiri resident means you know the city like the back of your hand – or at least the back bar of Buddha. Best Place to Watch a Sunset: As the popular song goes, El sol duerme in Triana y nace en Santa Cruz. My favorite place to see the sun go down is on the banks of the Guadalquivir with a clear view to the Triana bridge that links the city center to my neighborhood. There are loads of bars that way, as well. Best Terrace Bar: As long as we’re talking about bars, rooftop bars got hella trendy right about the time I stopped paying rent by moving in with the Novio. 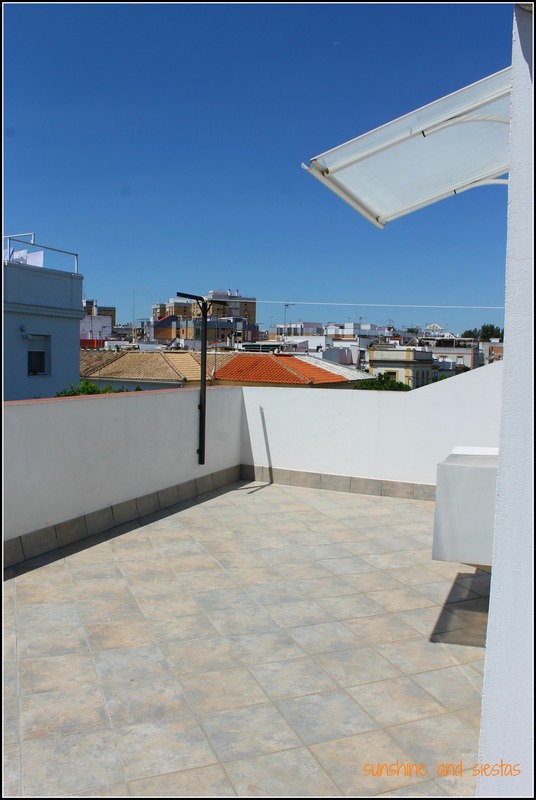 This meant I had disposable income that went straight to having fun on the weekends, and I still love one of the first I went to: The Roof on Calle Trajano. Trendy and reasonably priced (as in, 7€ for a G&T instead of 10€), plus with views to the Setas and the Cathedral. Best Scoop of Ice Cream: Ice cream shops abound, but my favorite is La Fiorentina on Calle Zaragoza. Who can resist cream of torrijas (a Spanish French Toast) or lemon with mint sorbet? Best Park: María Luisa is charming and has a bunch of resident pigeons, but Parque del Alamillo is sprawling and includes a zip line and far less flying rats. 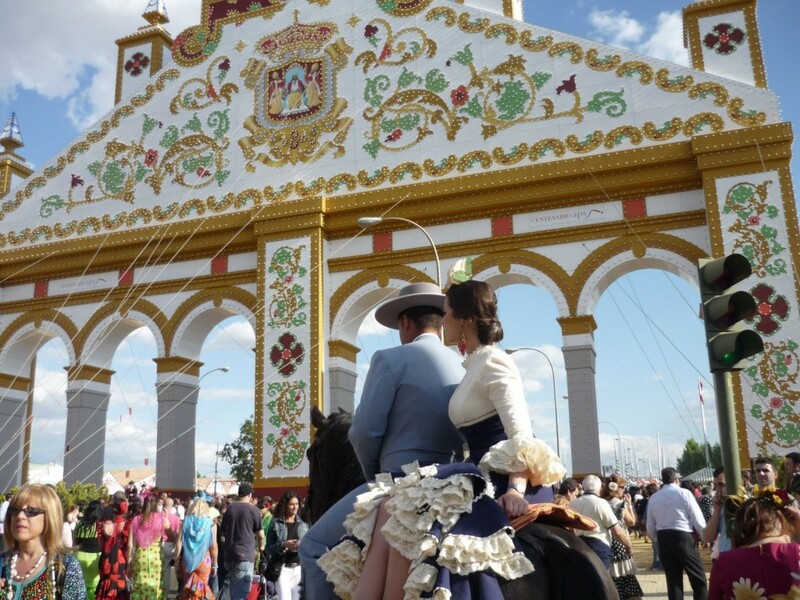 Best Local Festival: If you’ve read my blog long enough, you’ll know the cattle fair-turned Andalusian showcase the Feria de Abril is my favorite, but I’ll give the Velá de Santa Ana and Holy Week a nod, too. Best Tourist Attraction: Ooh, my first tough question, but I’m going to say Plaza de España. 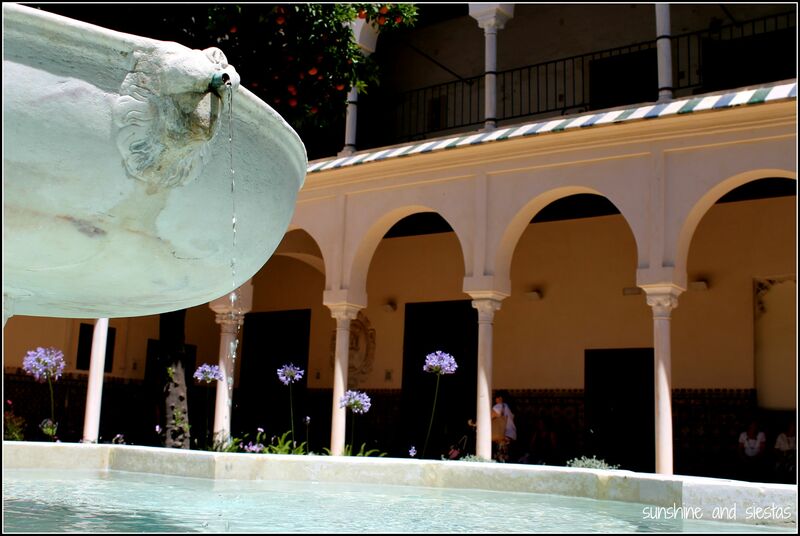 It’s free, always open and is a special part of Seville’s history. Built nearly a century ago by famed sevillano architect Aníbal González, the tiles, benches and moats were the focal point of the 1929 Ibero-American Fair. Best Museum: I love a good museum, and Seville is bursting with them. Seriously – this city is 2000 years old! From Flamenco to Fine Arts, ceramics to horse carriages. Espacio Santa Clara isn’t technically a museum, but hosts exhibitions throughout the year in an old nunnery. Find it near the Alameda in the Macarena neighborhood. Best Museum You’ve Never Heard Of: I’ve heard of it but haven’t been, and my friend Karen McCann of Enjoy Living Abroad loves it: The Science Museum, or Parque María Luisa’s Casa de la Sciencia, which she lovingly calls the Little Museum of Horrors! Best Tourist Attraction to Skip and Spend that Money on Beer: I mean, I would say the Cathedral because often skip taking people in, despite it being free for me, but the Giralda is worthy of you 10€ (or for far less, you can scale the Setas in an elevator for a view that includes the famous tower). The Torre del Oro and it seafaring museum are largely disappointing, and the view from the top isn’t any better from it because of large plexiglass barriers. Best Cruzcampo Bar: Loaded question. 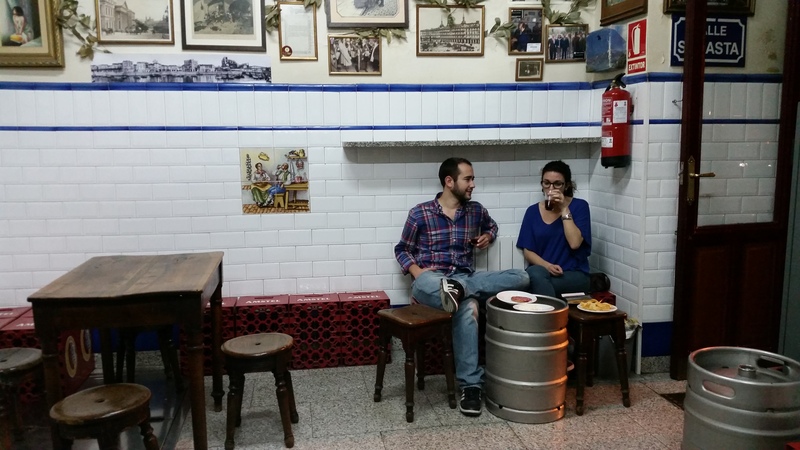 It seems that, in Seville, you’re never more than 100 feet from a bar or an ATM, and the question of who has the best pour is largely debated. I’ll go with my perennial favorite, La Grande in Triana, or nodescript La Melva in Sector Sur, and also give a shout to El Tremendo in Santa Catalina. Best Plaza for People Watching: Spanish abuelitos stalk Plaza Nueva, just adjacent to Avenida de la Constitución and town hall. You can also watch street performers, witness weddings and join in protests. 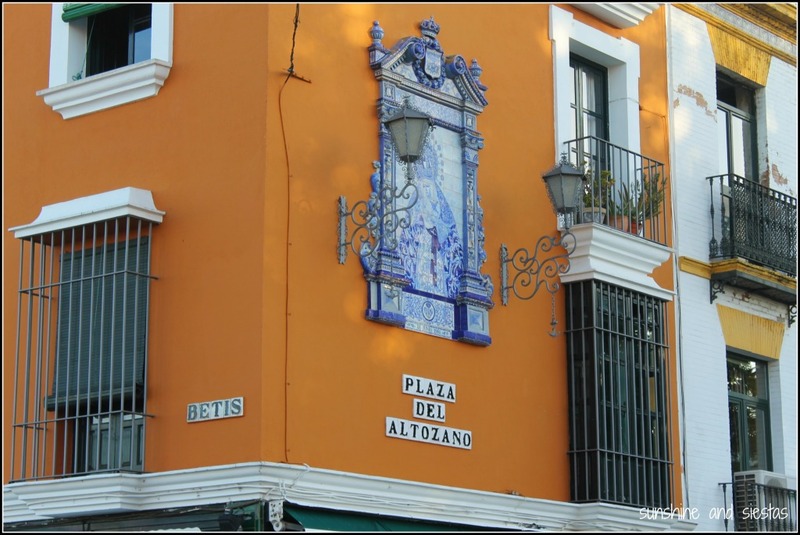 Best Plaza for Beer Drinking: While I think there is nothing greater than drinking a beer outside on a sunny day, I often take guests to Plaza del Salvador to stand beneath a salmon pink church that’s centrally located. Best Chocolate con Churros: Churros on a Sunday morning are one of my treasured traditions, and none are as good as the ones at Bar La Rueca in Plaza del Juncal. It’s a trek unless you’re in Nervión. Best Barrio: Crowing a neighborhood as queen of them all is difficult because of taste. I’m partial to a few for their cultural and gastronomical offering, and am a big fan of mi querida Triana. I also like bullfighting neighborhood El Arenal, hip Feria with its weekly flea market, El Jueves, and even Alameda is growing on me. Best Day Trip: Sadly, Seville doesn’t have too many quaint towns or natural highlights. 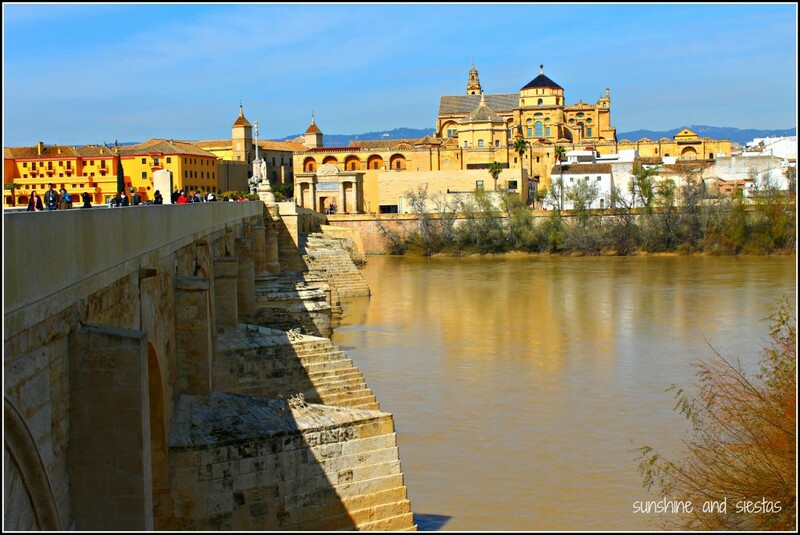 While I’d spring to go to San Nicolás del Puerto at any free chance and hike the Vía Verde, I usually send other visitors to Córdoba. A 45-minute train ride straight to a quainter version of Seville and home to as Spanish of a corn dog as you can get, the flamenquín. Best Montaíto de Pringá: This mincemeat sandwich is one of Seville’s culinary claims to fame, and most traditional tapas bars will have it on the menu. For me, Bodega Santa Cruz‘s is top notch and a perfect, hot snack if I’m in the Santa Cruz neighborhood. Best Breakfast: I wasn’t a huge fan of breakfast until I moved to Southern Spain and got coffee, freshly squeezed orange juice and bread with crushed tomato and olive oil for 2.50€. It ruined me. If I am craving something traditional, I love La Esquina del Arfe in the El Arenal district, but I’ll splurge with girlfriends at La Cacherrería on trendy Calle Regina every once in a while, too. 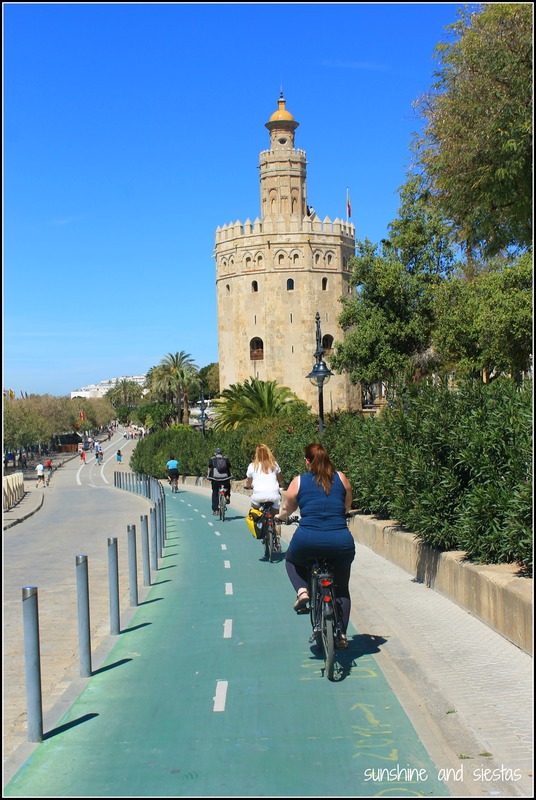 Best Bike Shop: Seville’s is one of Spain’s best cities for biking (and within in the top 10 in Europe), and my beloved bike Feliciano gets his tune ups at Quique Cicle in El Juncal. A close second is my neighborhood shop, Ciclo Triana. Best Haircut: Loli is more than just the lady who trims my split ends – she is my therapist, my language teacher and my biggest fan. 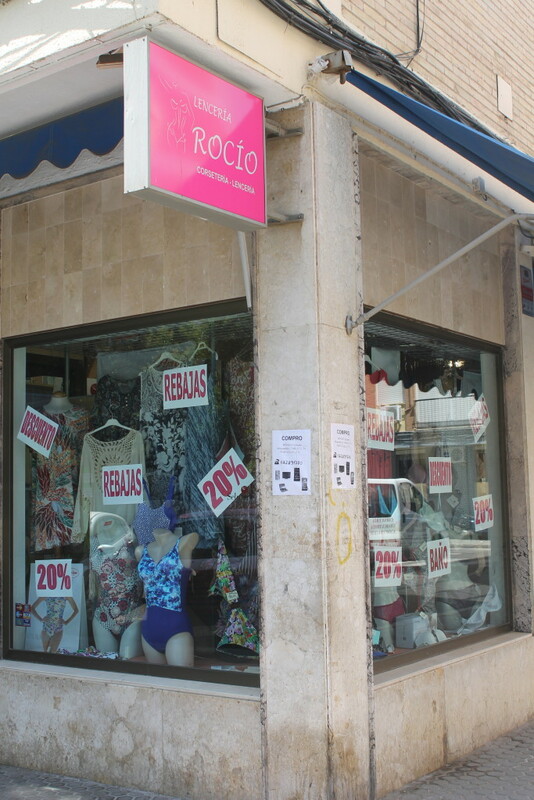 Find her and her brother Manolo at Top Image in Puerta de Carmona. Best Flamenco Show: Admittedly, I’m not a huge follower of flamenco, but everyone I have sent to Casa de la Memoria, housed in an old palace on Calle Cuna, has not left disappointed. 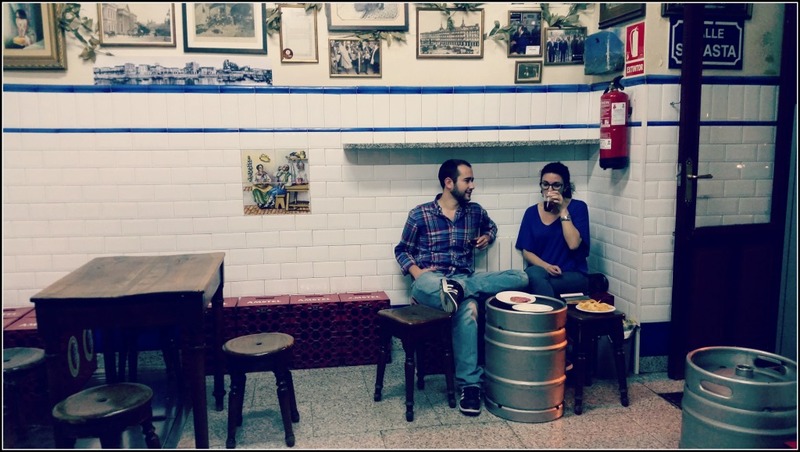 Best Tapas Bar: I’m often asked about where to dine in Seville, and while this is an entirely personal question, I always suggest La Azotea. Inventive takes on traditional and local fare, plus an unbeatable wine list and terrific service. I usually head to the one in Santa Cruz. Another favorite is Bodeguita A. Romero, which has loads of different types of dishes for any taste. Best Dive Bar: Can I say I’m a closet metal head? It’s been a while since I’ve been to Matacas (think heavy metal juke box, SciFi movies and the only legit Jägerbomb I’ve had in Seville), but this Puerta Osario bar is one of the most underrated in town. 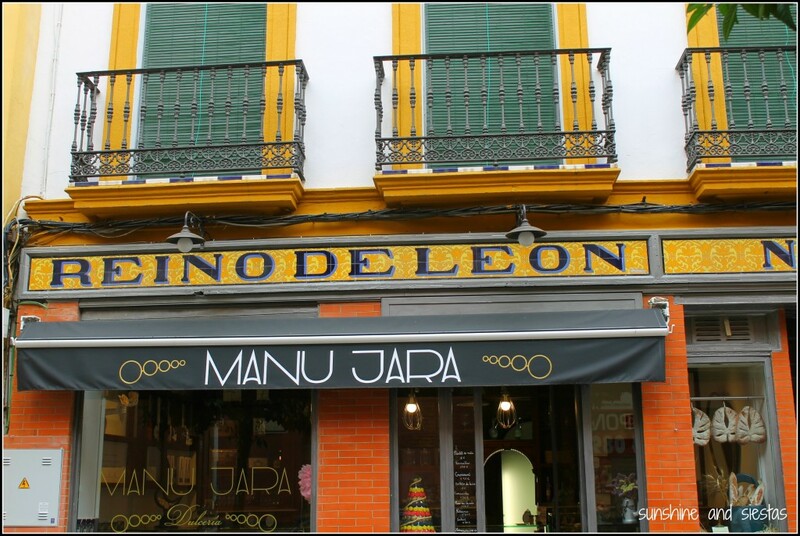 Best Bar Manolo: Call it what you want – Bar Manolo, Bar de Viejos or Old Man Bar, but these establishments are seriously the salt of the Spanish earth. You get beer, house wine, vermouth and a shot of anís on the menu, but what they lack in choice they make up for in character. In my neighborhood I hit La Estrellita and El Paleta Viejo; in Santa Cruz, Bodega Santa Cruz or El Goleta for orange-infused wine, Bodega San Jose in El Arenal (it smells like cat piss, I know) or Bodega La Aurora in Alfalfa. Really, if there’s a Spanish abuelo outside, I’ll go in. 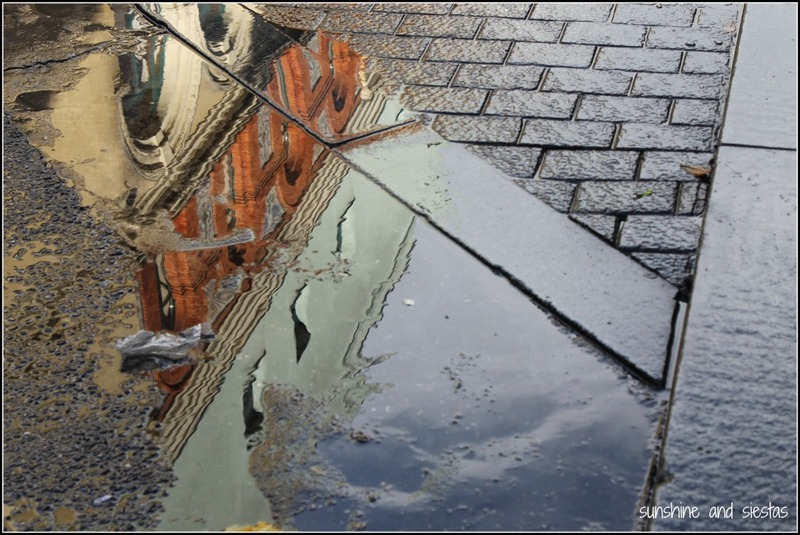 Best Street: My opinion on this has changed yearly, and many streets have a lot of charm. I’ll go with Calle San Eloy in the smack dab center for its shops and gorgeous balconies. Best Spot for a Selfie: Calle Placentines where it crosses Argote de Molina. You can get the entire Giralda in for free (though if you’re willing to pay, take the Cathedral Rooftop Tour). Best Splurge: Seville can be done on the dirt cheap (hostels, bocadillos and beer buckets at La Sureña) or you can make it lavish. While it could be tempting to stay and play at Seville’s only f-Star hotel, Alfonso XII, I’d vote for the hammam and massage at Aire de Sevilla, tucked away in Santa Cruz. Best Food to Try, Just Because: Caracoles, or snails. Look for them in the springtime. I prefer them to, say, coagulated blood in onions. Best Tour: Seville is a dream for travelers: budget-friendly, accessible and full of things to do. I’ve been invited on loads of cool tours but think my favorite would be Devour Spain‘s part-history, part-gastronomy tour. 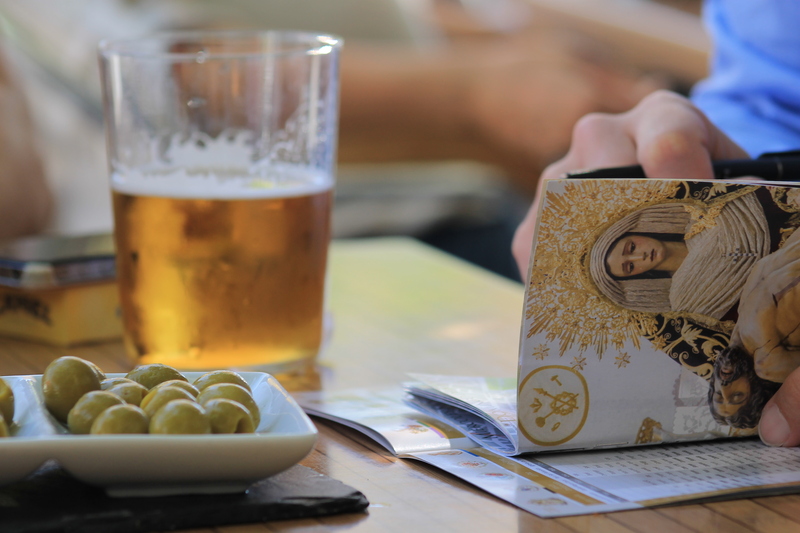 Best Semana Santa Bar: I always take my visitors to a church to explain Seville’s reverance to Holy Week, and follow up with a beer at a Semana Santa bar, covered with relics and photos of this important celebration. I either do the Esperanza de Triana—Bar Santa Ana route, or skip the church and head right to La Fresquita in Santa Cruz, where the barkeep is a member of the Macarena and has a botafumeiro going every so often. Best Menú del Día: three parts food and a million parts a wallet-saver, the menú del día is a fixed-price menu with two entrees, dessert, drink and bread for cheap. The choices at Bar Bocaíto in Nervión are plentiful and always changing, and you pay just 7.50€. No wonder the place is always packed! Best Local Market: I’m partial to two – Calle Feria‘s is set in a crumbling building next to a church with a bar on two of the four corners. In one of those bars, you can actually buy something from a fish stall and have it served up! 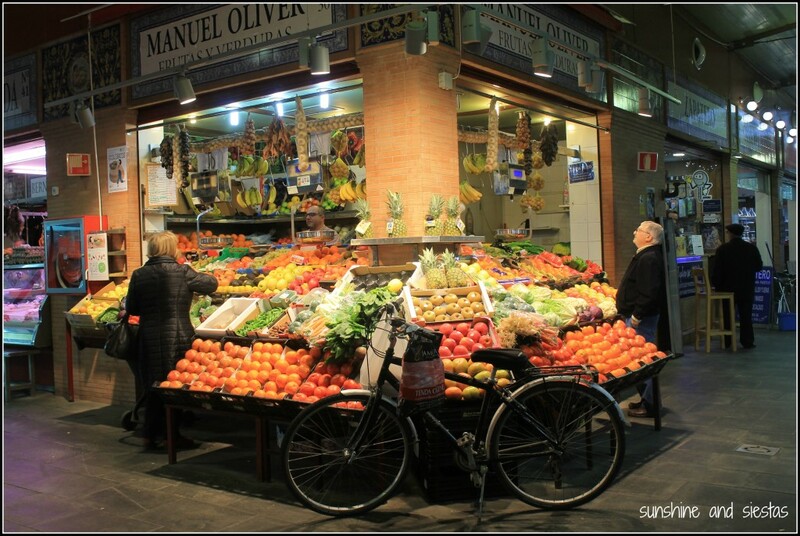 The other is my local market, el Mercado de San Gonzalo. It’s gritty and cheap and was one of the area’s first permanent buildings. Best Disco: I am not the person to be asking about this (look for me instead at the Bar Manolos), but I like Alfonso in Parque María Luisa during the summer months and Tokio during other times of the year for its proximity to the center. Best Place to Catch Something Cultural: The Patio de la Diputación almost always has something on during the weekends and summer. Think movies, talks and free food samples. Best Souvenir: If your carry-on can handle it, the hand painted ceramics on sale in Triana‘s multiple shops are my favorite things to buy for friends. Check Calle San Jorge and stop by the newly inaugurated Ceramics Museum if you can. Best Month for Sevillanos: April. 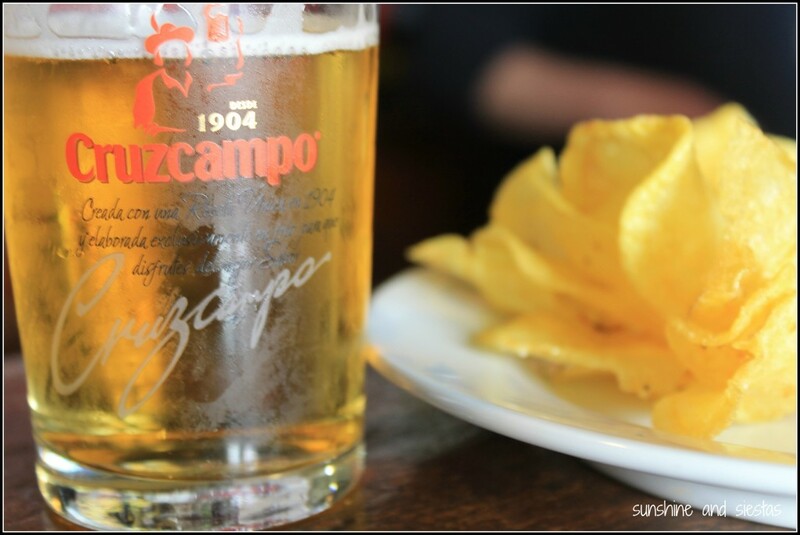 Orange trees are in blossom, the weather is perfect, Cruzcampo seems to taste better and, if we’re really lucky, both Semana Santa and Feria fall in April. Best Month to Visit: I usually push for October, March and April because of the weather and cheaper prices. 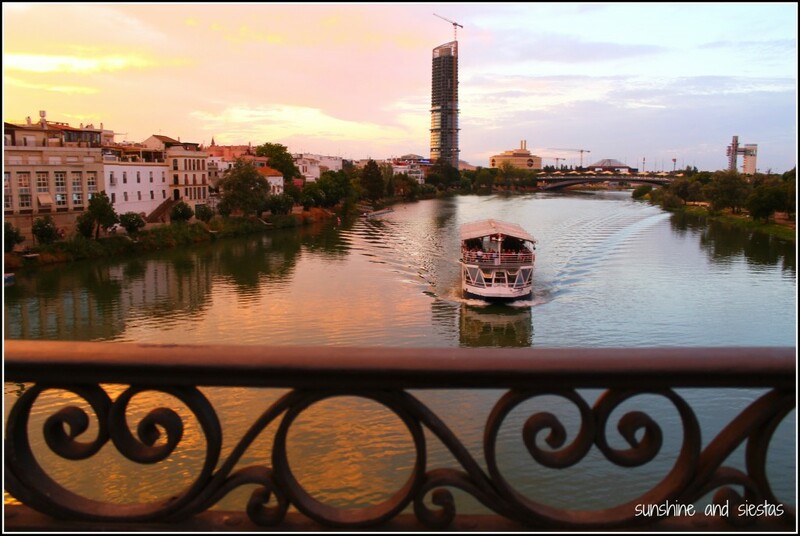 But seriously, Seville has a lot to offer whenever you come – even in the stifling summer months! Seville seems to have one foot firmly in the past and another stepping towards the future. It’s constantly changing within its parameters but hold true to its values and customs. In eight years, I’ve explored every inch of the city center and a number of barrios, become a fierce supporter of a local team, learned the lingo and have come to feel like one of them. Challenge me on anything, and you’ll give me something to do at the weekend! Or, if you liked this post and want to take it with you, why not download the GPSMyCity app and purchase the GPS-enabled guide? Your dollars help run this site! 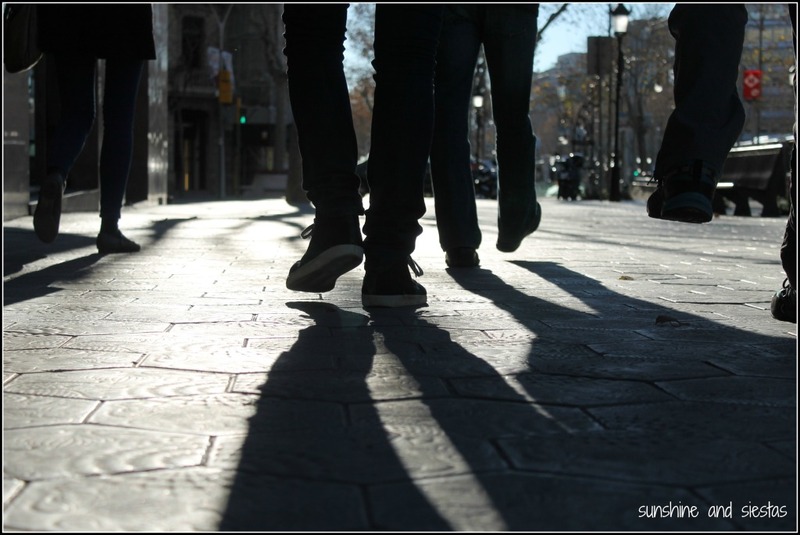 Why do Spaniards call us ‘Guiris’? My friend S had sold me out to a total stranger and a bar full of side-eyeing pijas, and she’d done so be calling me a guiri. This was before any of us turned 30 but after an entire afternoon of beers, so I skipped to the stage and joined the drag queen, dancing all of my shame out. She later apologized for screaming HERE’S A FOREIGNER a few days later, though I’d already consented to another drink after my show as a way to shrug it off. Guiri is a catch-all phrase for both foreign tourists and Northern Europeans, used more often than not in a joking, affable way. 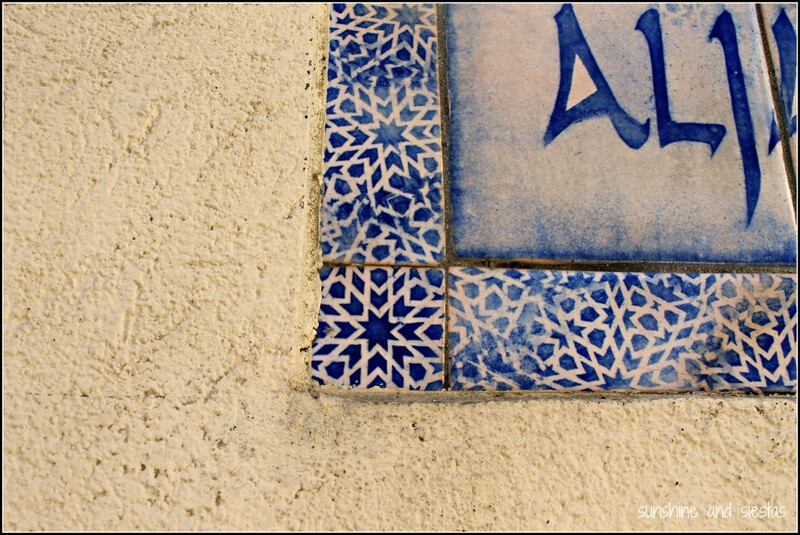 I’d never really taken any interest in knowing where the word come from until an early morning wake up call on a Sunday morning had me watching Canal Sur’s program about the origins of common practices and traditions in Andalucía. If you are into etymology like me, your ears would have perked up when you heard “Where does the word guiri come from?’ I nearly spilled my coffee on our new coach. The most common explanation is literally a page out of a Spanish history book: The word guiri has existed for some 130 years since the time of the Guerras Carlistas during the first half of the 19th Century, a series of skirmishes that followed the death of King Fernando and that pitted the royal’s only a heir, Isabel, against his brother, Carlos María Isidoro de Borbón (it is, therefore, not a phrase derived from a way to call out the socks with sandals thing). According to the Royal Decree of 1713, all ascendents to the throne were required to be male, so Carlos V made a play for Isabel’s blue-blood given right. This sparked the first of the Carlist Wars, with Isabel’s mother, María Cristina de Borbón Dos-Sicilias fighting for her daughter. Those who supported Isabel and her mother became known as cristinos, and fighting was especially fierce in the northern regions of Navarra and País Vasco. Cristinos from this region saw their leader as radical liberals who hoped to make sweeping reforms in the whole country, beginning with the right to the throne. What’s more, the this band received support from other countries like France and Great Britain, causing alarm with the northerns who were, characteristically, more traditional and supporters of Carlos V.
The name for the northern became known as guiristinos to the carlistas, an ambiguation of cristinos in the Basque language. Because the majority of María Cristina’s supporters were Basque and Navarrese, the name stuck and was even used as a way to call Guardia Civil officers during Franco’s regime. At its most basic, it also served as a moniker for outsiders and people with radical new ideas, shortened to simply guiri. However, the word guiri didn’t become popular in Spain until the 1960s when tourism began to bring thousands of travelers – namely the British and the Dutch – to coastal resorts. 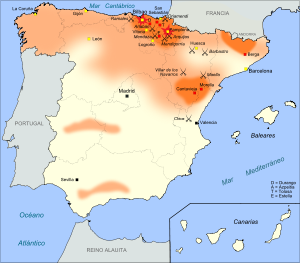 Post-war Spain and Francoist mentality were not ready for the influx of foreigners in the wake of two decades of self-sustainability, so guiri became the popular way to call light-skinned tourists, usually from Northern Europe, the US and Canada. (Another beloved Spanish tradition to surge during this decade? The menú del día. Bendito manjar, clearly). Some decry the word as a direct attack on those who fall into the category, but most Spaniards will insist that it’s a term of endearment. As most groups of friends have the token ‘El Cabesa’ and ‘El Tonto,’ being ‘La Guiri’ is kind of like my calling card, a simple way to distinguish myself and make me feel like I’ve squeezed my way into tight sevillano social circles. 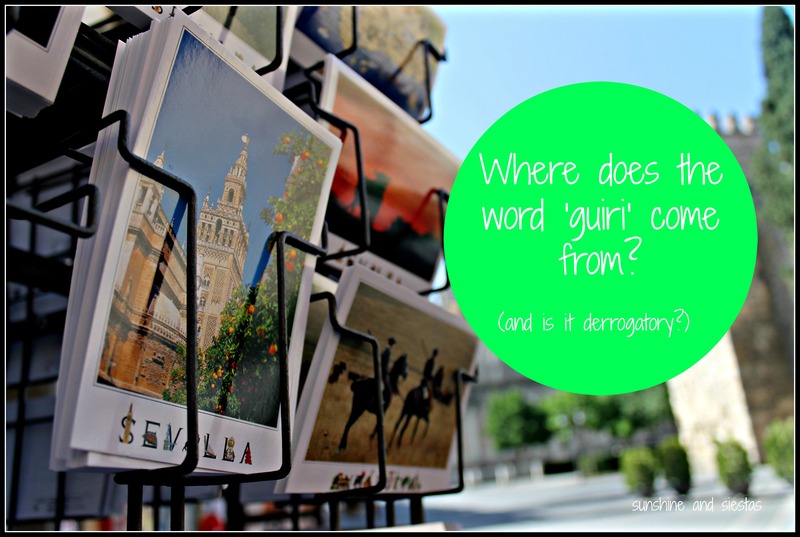 Have you ever been called a guiri? How do you feel about it? 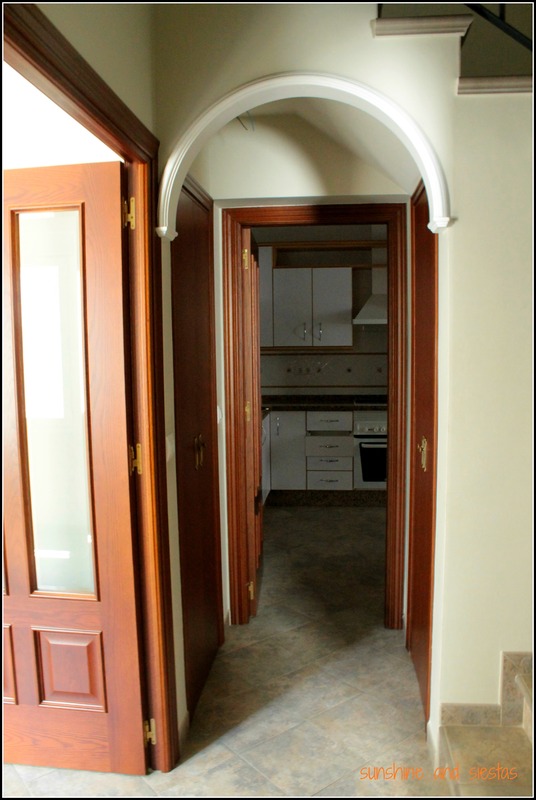 Big news: I bought a house in Spain! I have a new hell. The foreigner’s office has been officially replaced with a new place that wants to make me rip my hair out: IKEA. 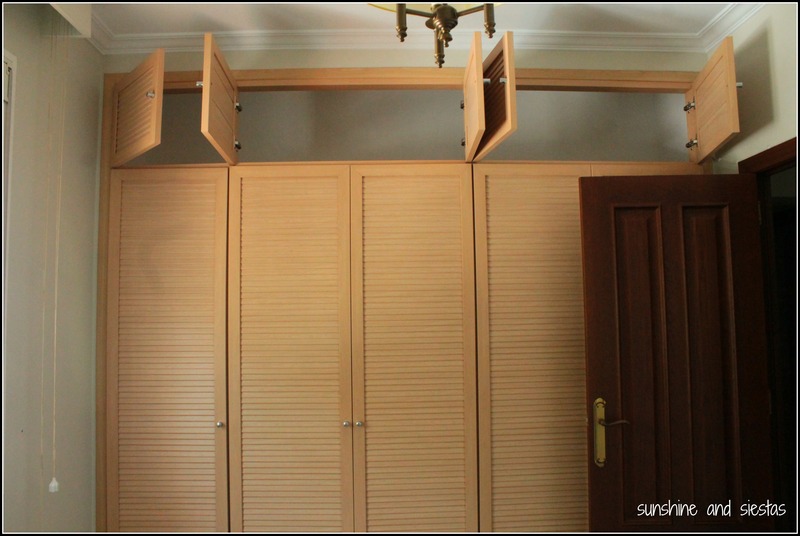 You see, I bought a house – a 125-square-meters-with-an-incredible-terrace and three stories and a kitchen large enough for an actual table and multiple bookshelves and closet space for my two flamenco dresses. There are two bathrooms, three bedrooms, air conditioning units in most rooms, mosquito nets on all of the windows and room to put in a dryer. It’s a HOUSE, not a piso. And best of all, it’s in my favorite neighborhood in all of Seville: Triana. But when the Novio and I signed our mortgage in June and began talking about painting and buying furniture and the logistics of moving all of our things, I knew his functionality and my hours decorating my doll houses would lead to arguments over money and space. In hindsight, it was genius to not go together to IKEA. The Novio and I did some online shopping one night, then he went and graciously wrote down the numbers and where to find our basics – a table, four chairs and bed frame – in the self-service area. We calculated 600€, just what we had leftover after buying a custom-made couch and the big appliances for the kitchen. I offered to go the following day and pay with our joint account, then have the whole pedido sent to our new place. After picking the perfect time to go in Spain, despite having entered in the rebajas sales period, I quickly steered through the maze of cute set ups and couches that wanted to be sat on. I ordered our bed frame and found a few light fixtures, then steered right towards the self-service area. The headboard and table were heavy, but I felt triumphant for handling it all on my own and happily presented my debit card. After asking my bank for help and getting nothing in return, picking everything up at IKEA once to have my credit card also denied, I threw my hands up in the air, asked the Novio to take out cash for me since my bank had frozen my accounts because of the new FATCA rule, and finally, five hours later, paid for our goods. So. I essentially hate IKEA for being the torture that it is – an obstacle course riddled with carts and baby strollers, an endless amount of impulse buys staring me down and never-ending lines. Going three times in 24 hours did not help, either. Not that you care about my current grudge against the Swedish home decoration king (though not their meatballs), here are some pictures of our soon-to-be hogar dulce hogar. 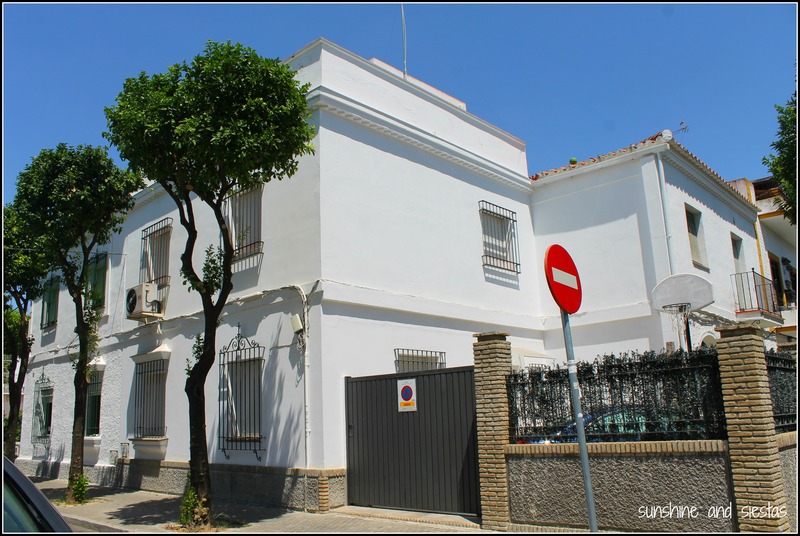 The house is on a corner lot in the Barrio León section of Triana. Wide avenues, chalets and a few famous residents, like the San Gonzalo depiction of Christ and Our Lady of Health, and the family of singer Isabel Pantoja. Most are rumored to gossip at renowned bakery Confitería Loli or in the dinky but bustling Mercado de San Gonzalo. To me, the house is the physical manifestation of making the decision to live abroad permanently (or until I’ve paid it off), and whatever is to come next with the Novio. 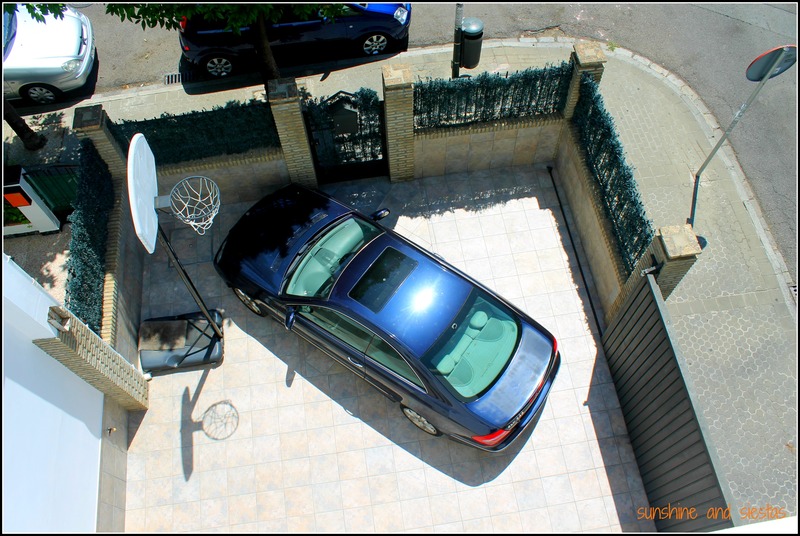 Want to know more about the process of buying a house in Spain? Be patient…I’ll eventually figure out what I just did for the sake of having a house house in a beautiful barrio.